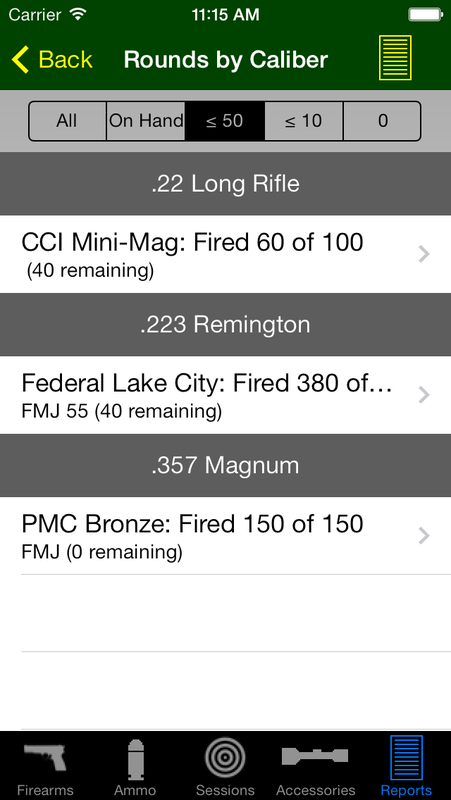 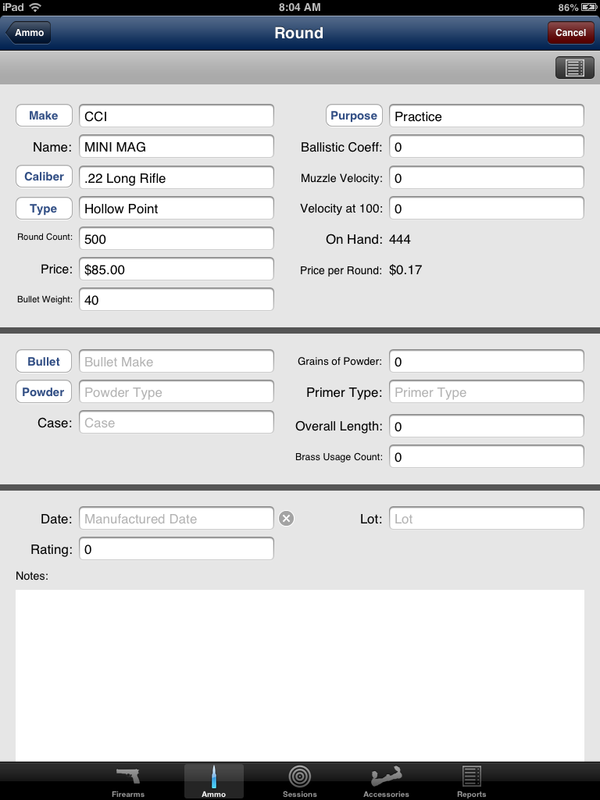 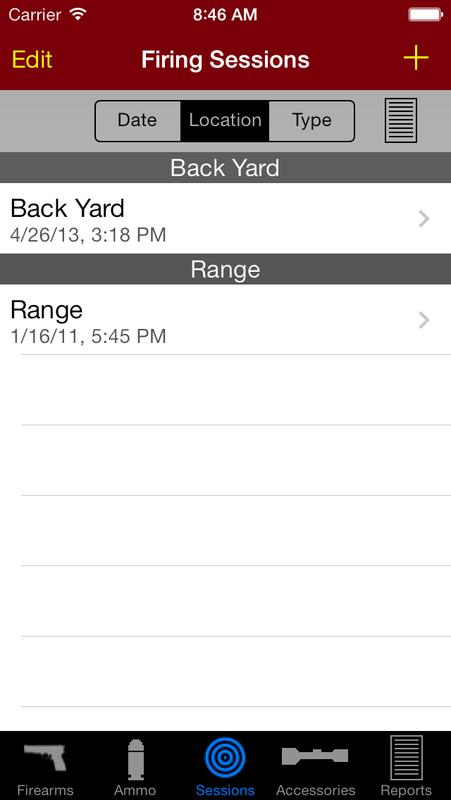 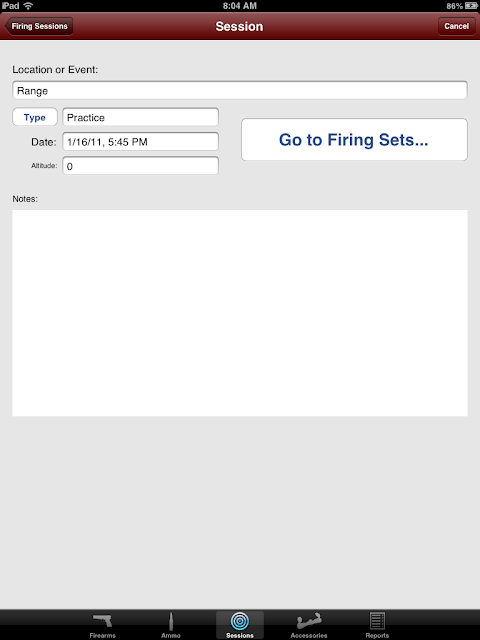 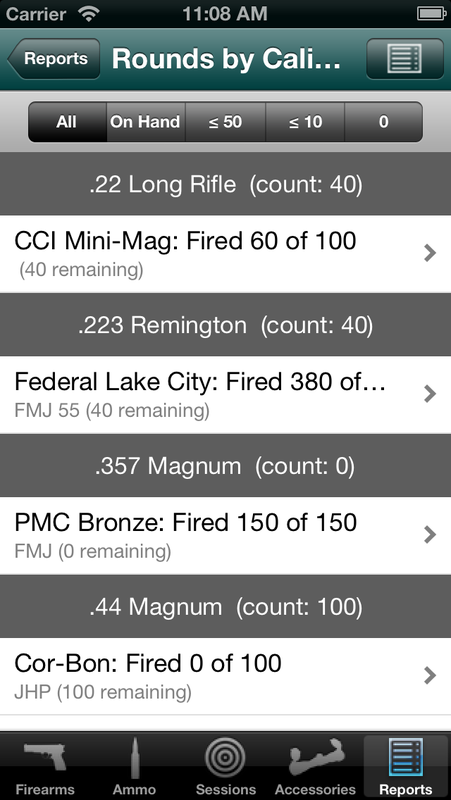 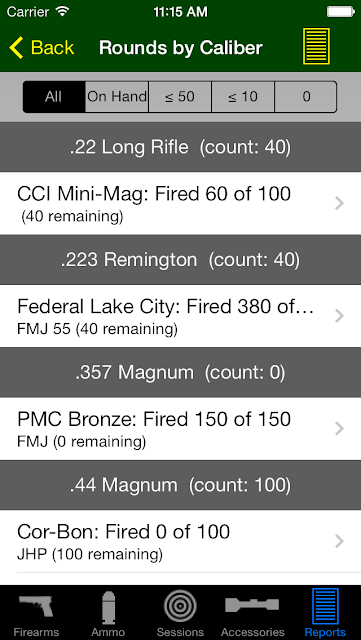 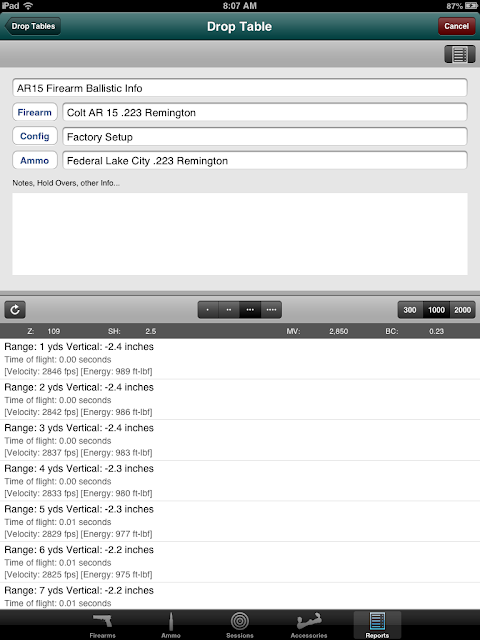 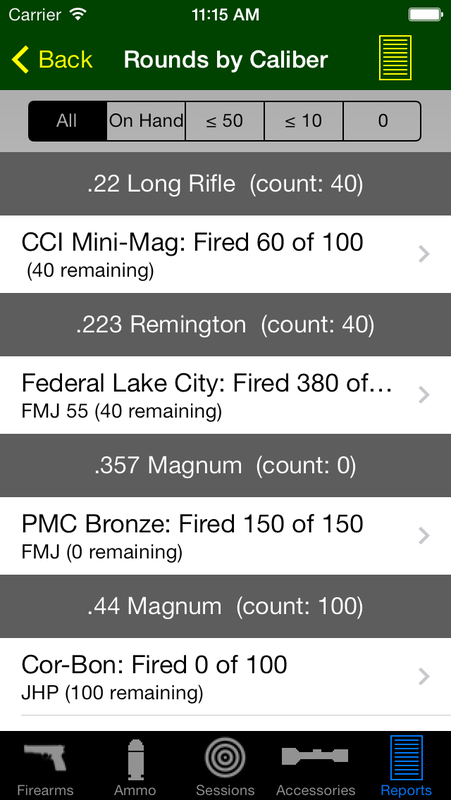 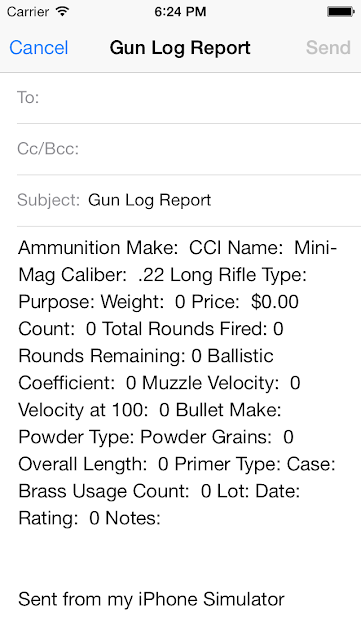 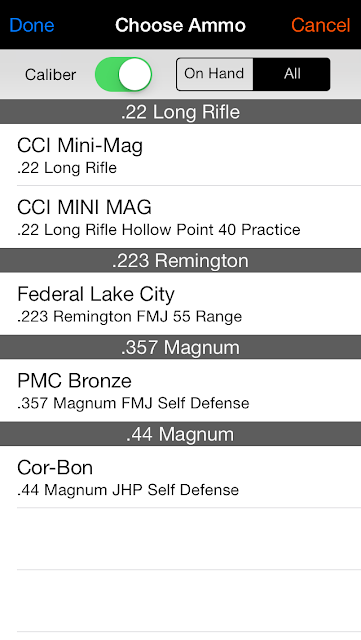 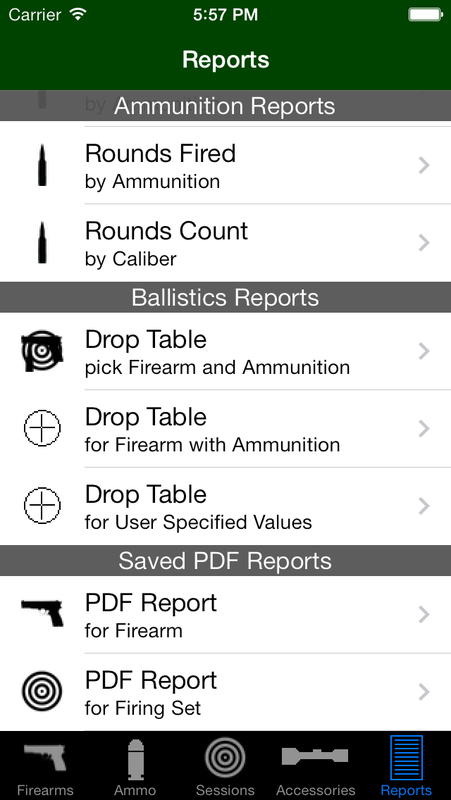 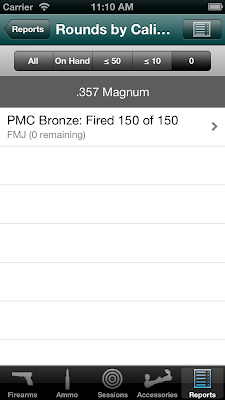 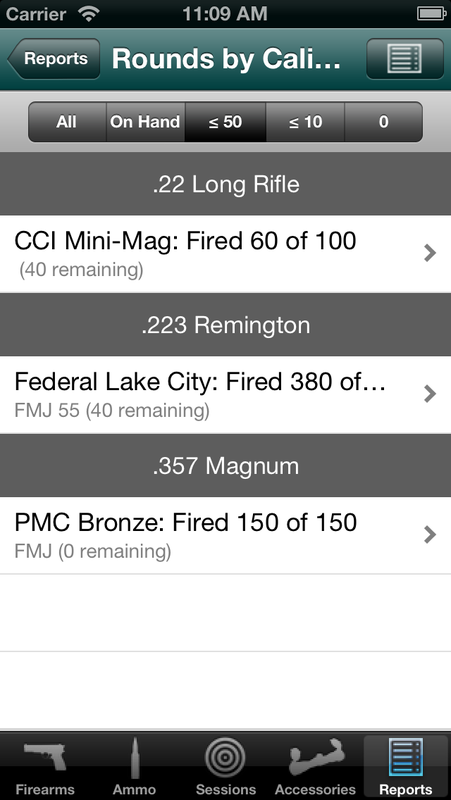 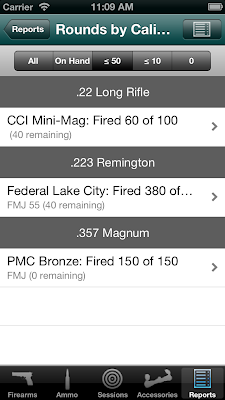 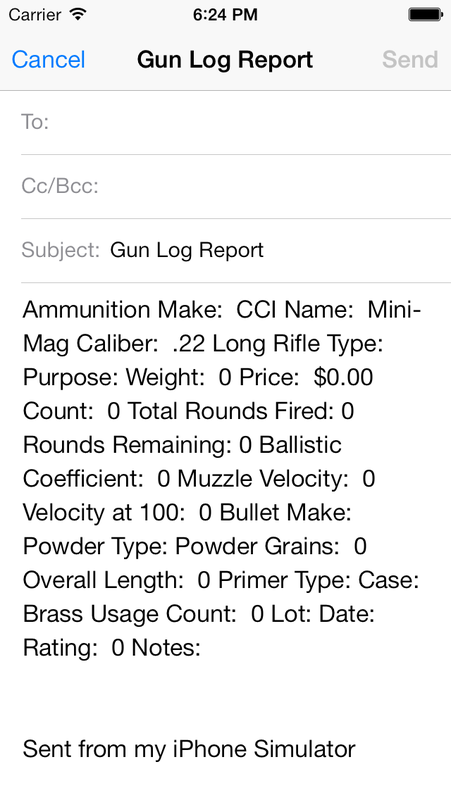 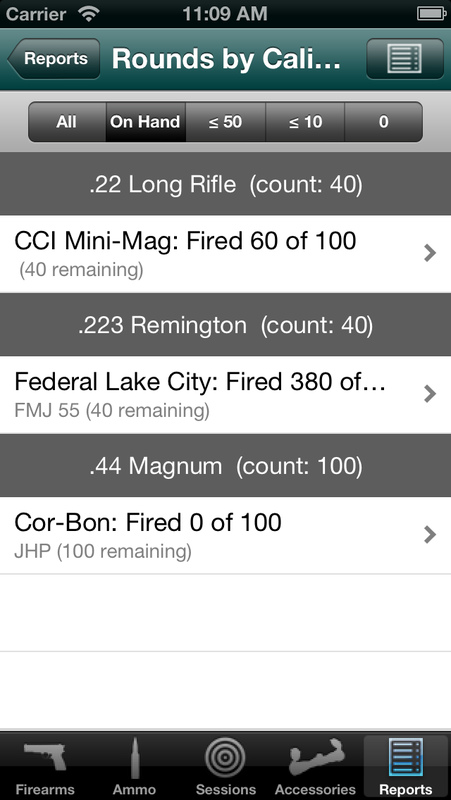 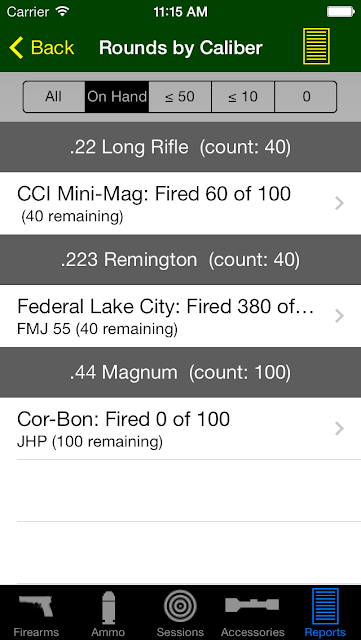 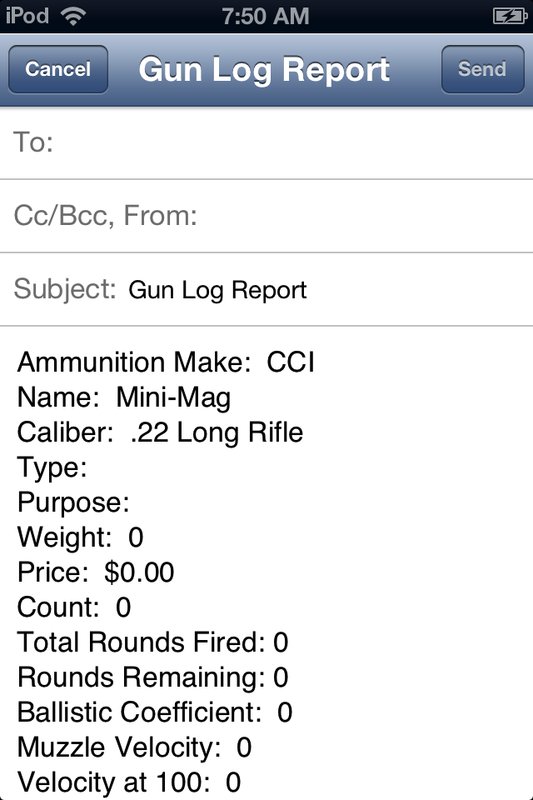 Gun Log SPC is an iOS app for tracking shooting and range information, calculating ballistics, and storing firearm and ammunition inventory. 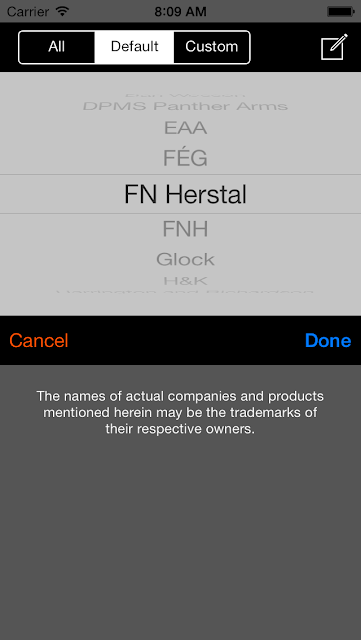 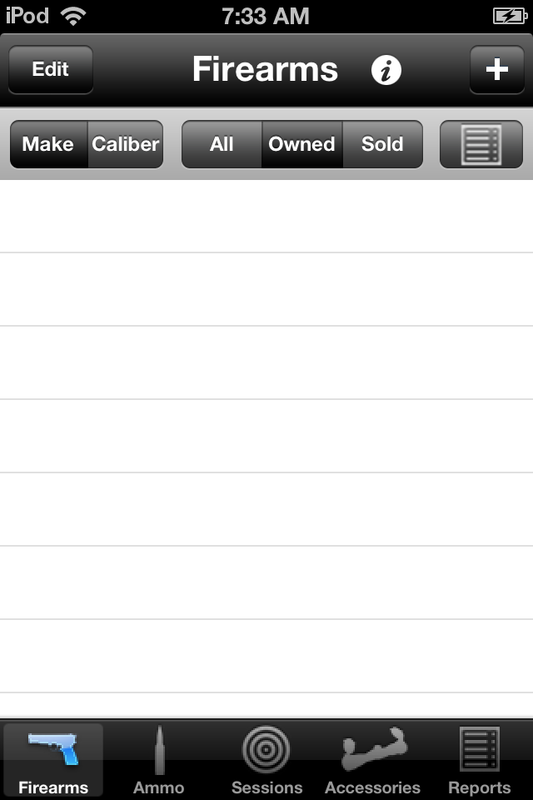 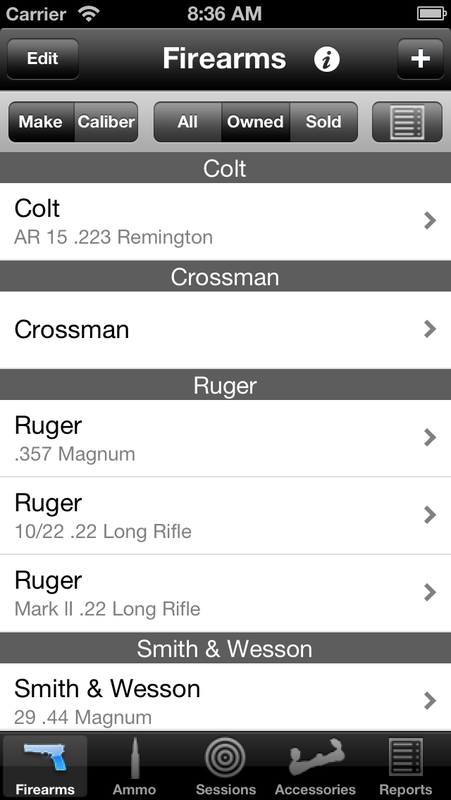 Thank you for considering the purchase one of the most highly rated and feature rich firearms apps for iOS. 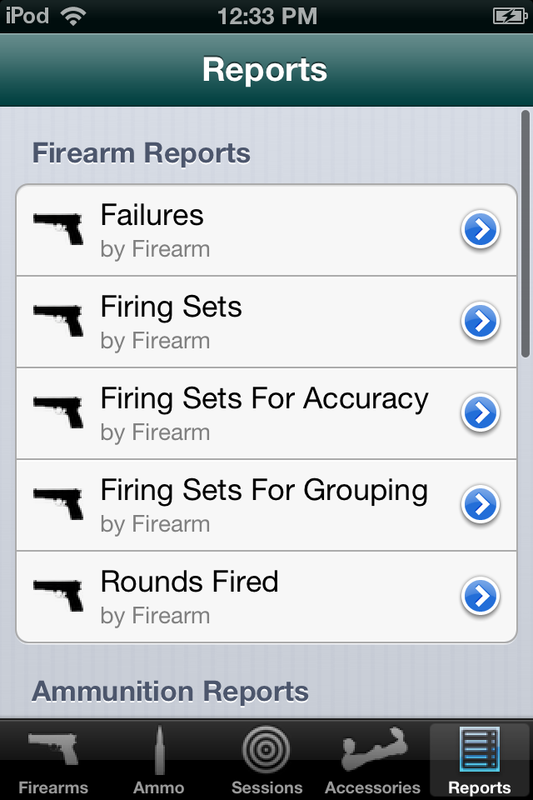 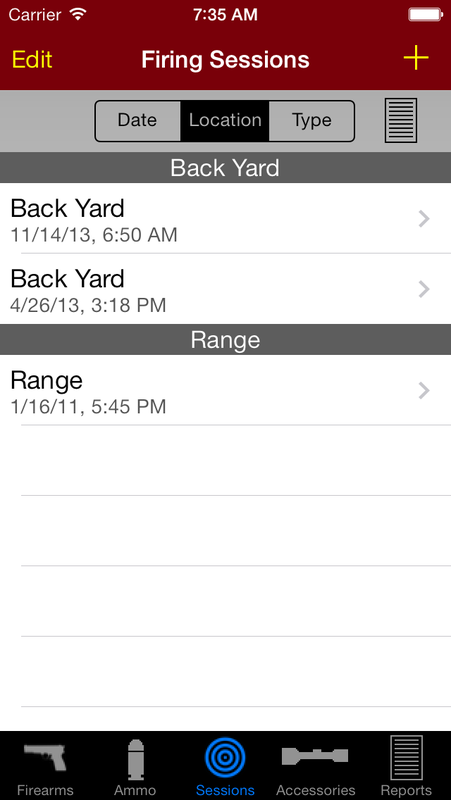 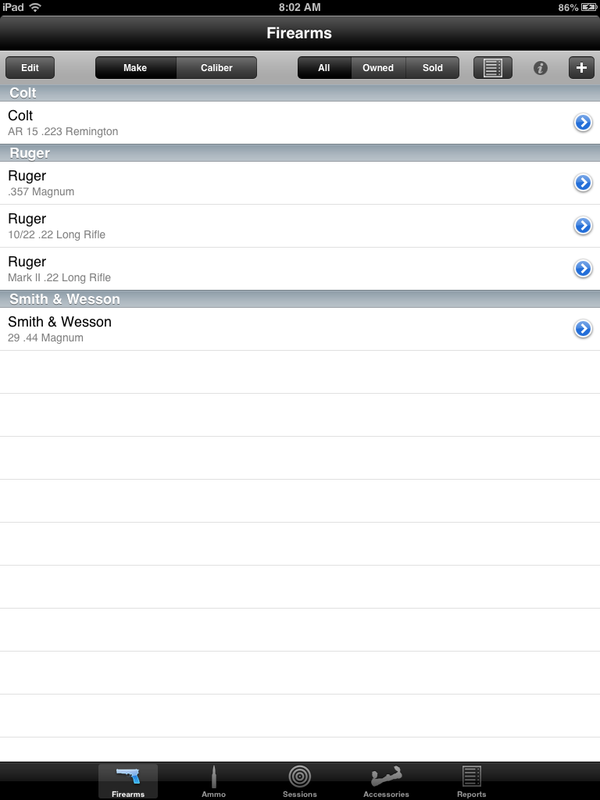 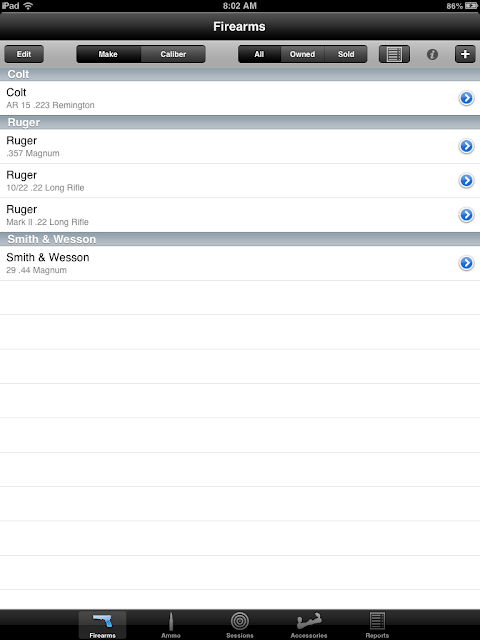 I want you to know that the Gun Log family of apps are designed for those that use their firearms. 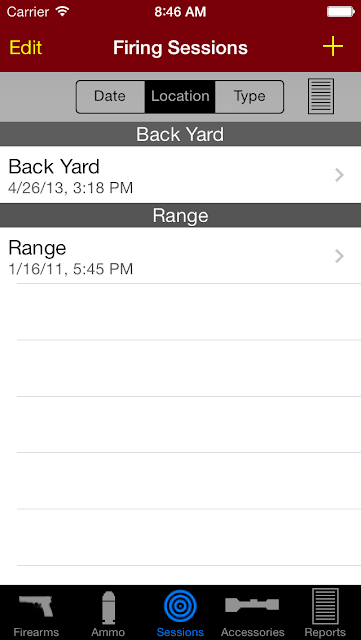 The original concept of the app was a range log, a replacement for pen and paper. 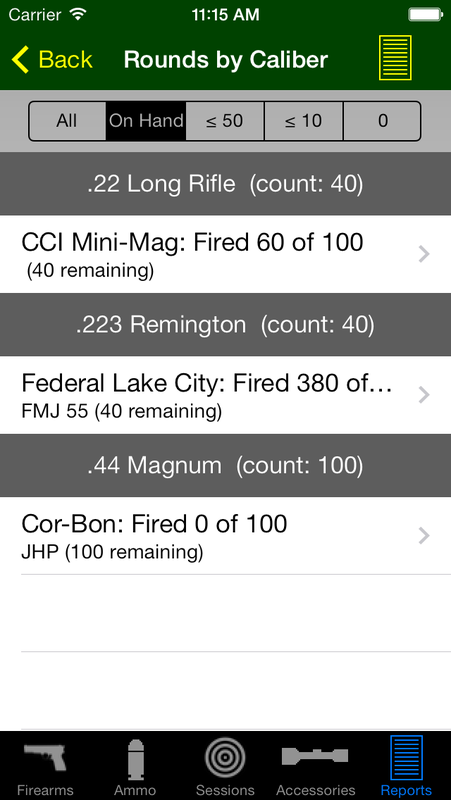 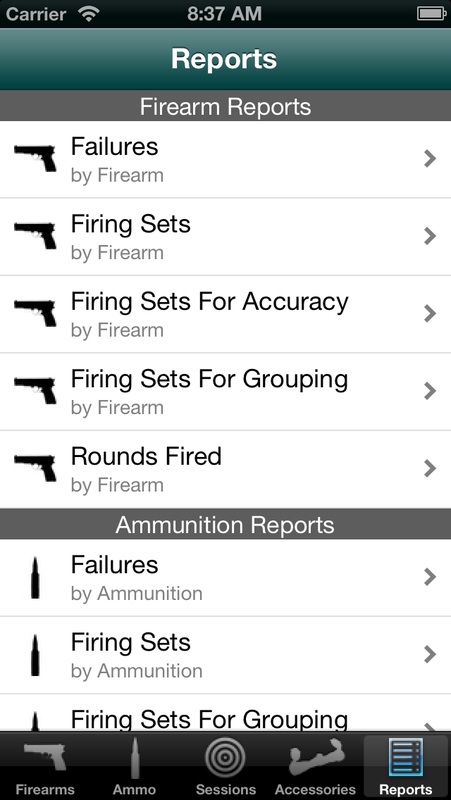 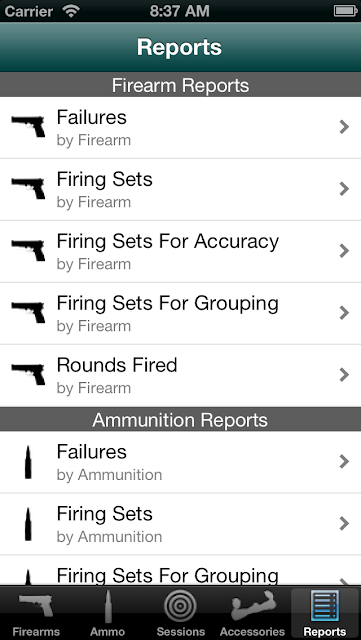 The app has grown beyond just a range log to include logs for firearms, ammunition, accessories, maintenance, and failures. 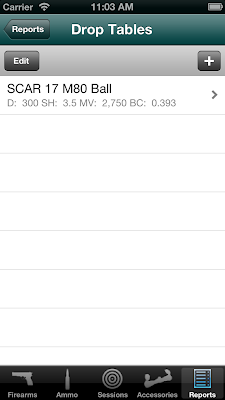 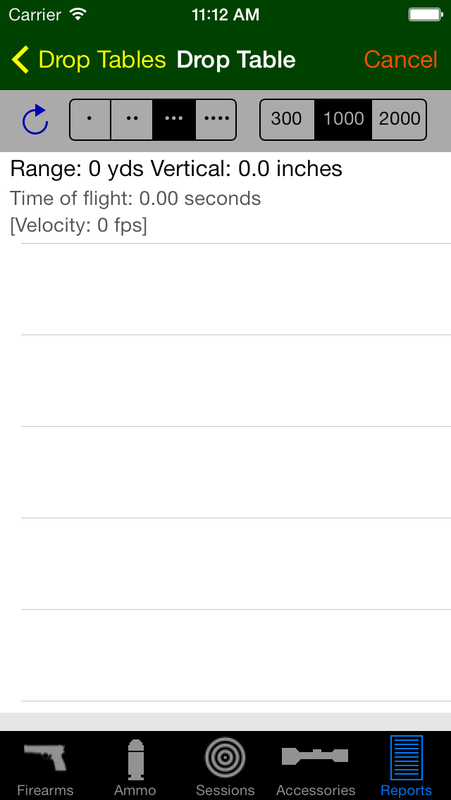 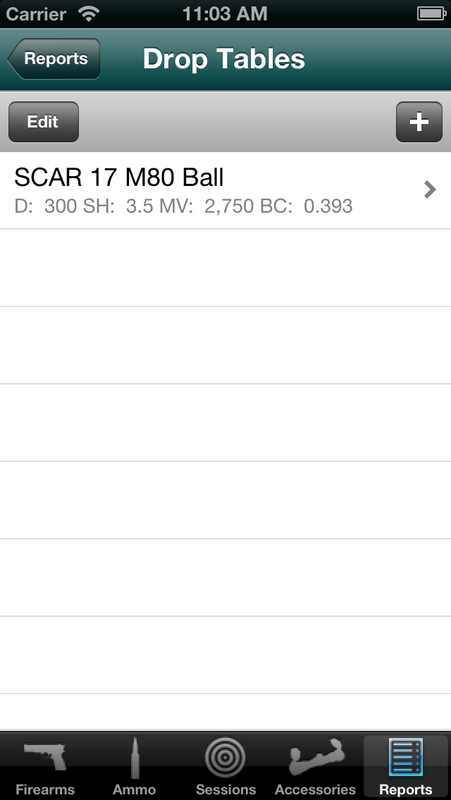 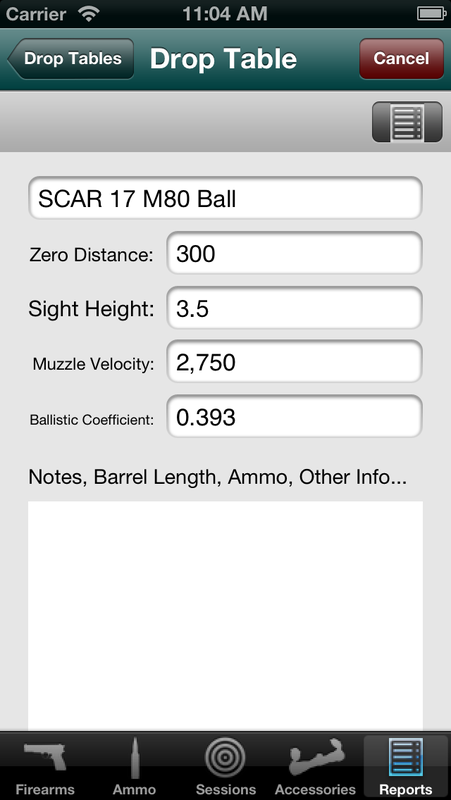 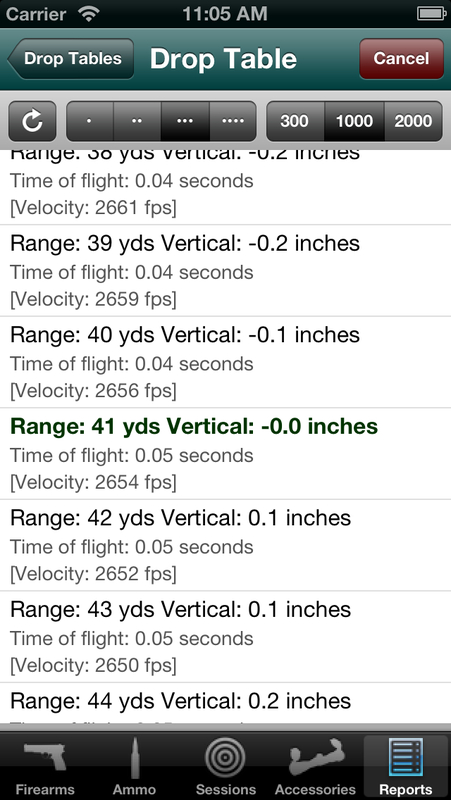 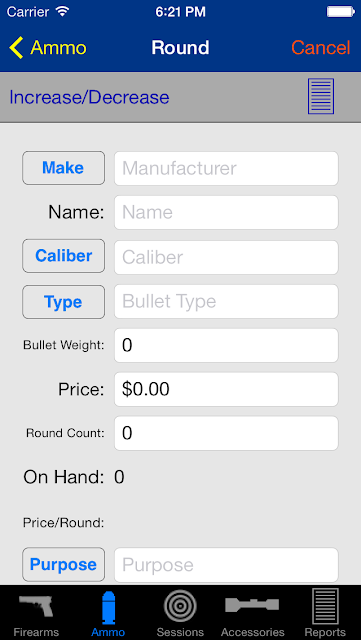 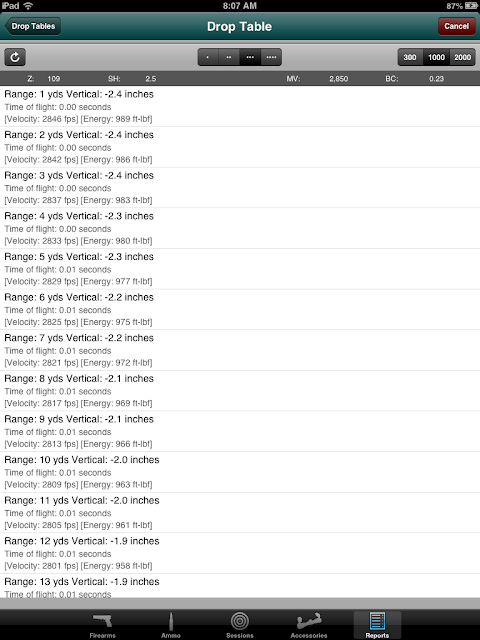 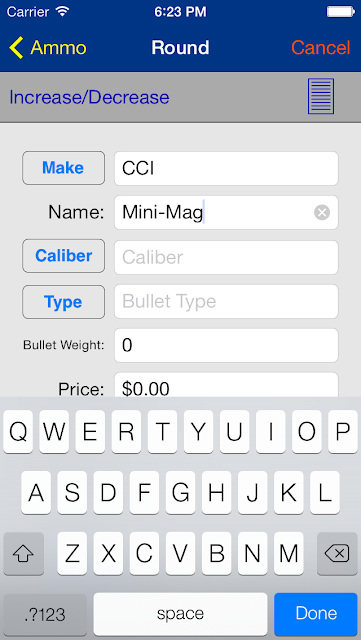 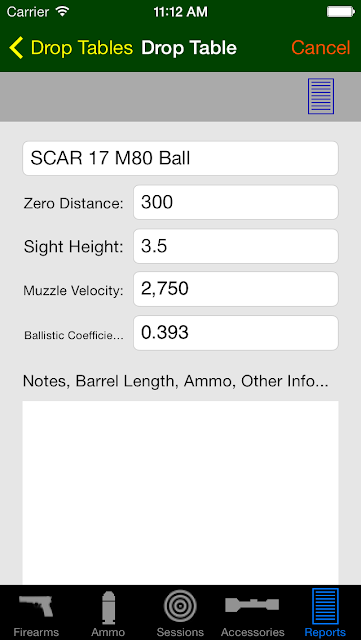 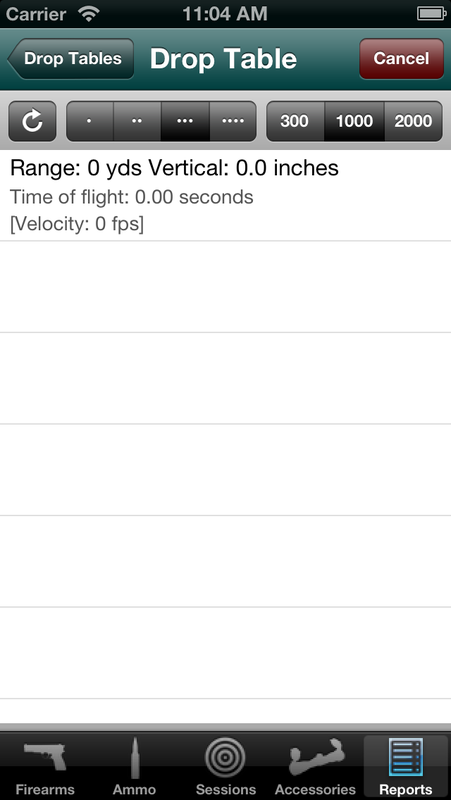 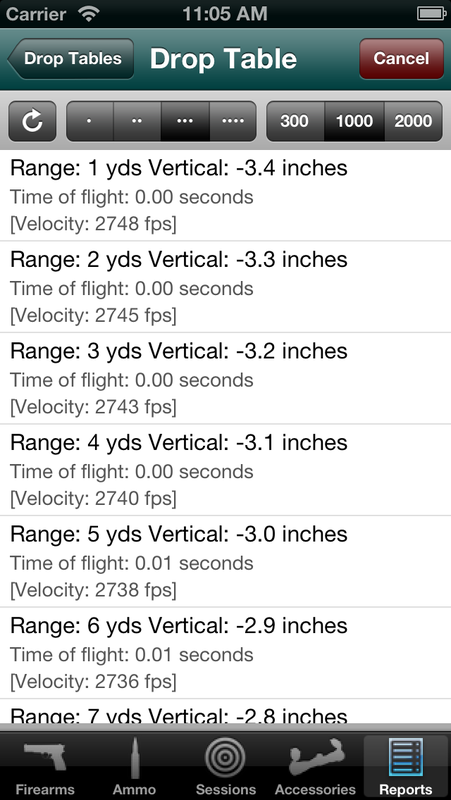 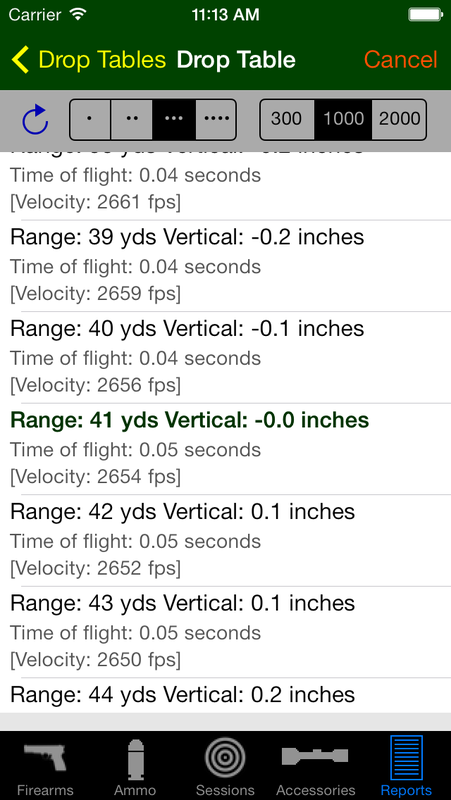 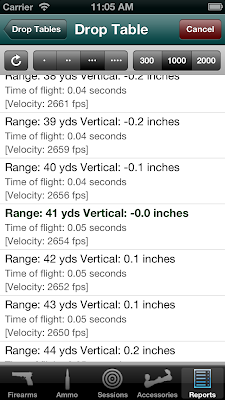 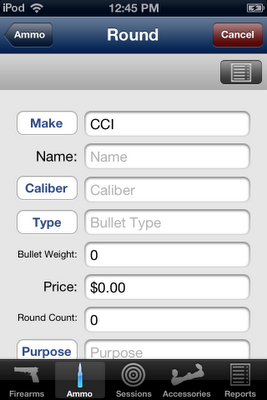 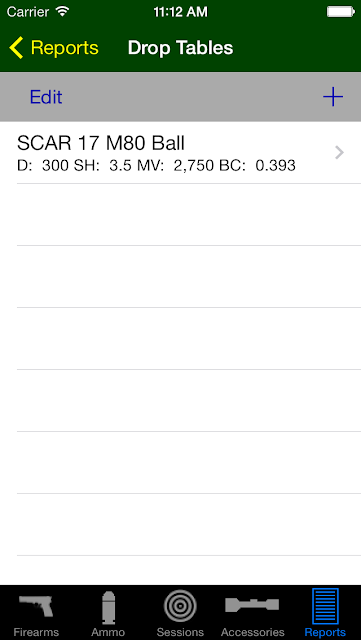 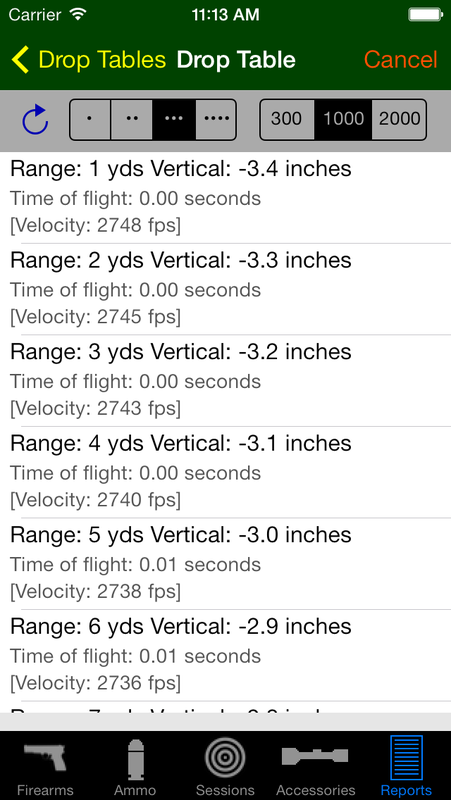 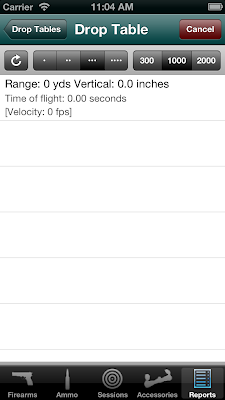 Also the app has an external ballistics calculator to assist the sighting-in process or estimating bullet drop. 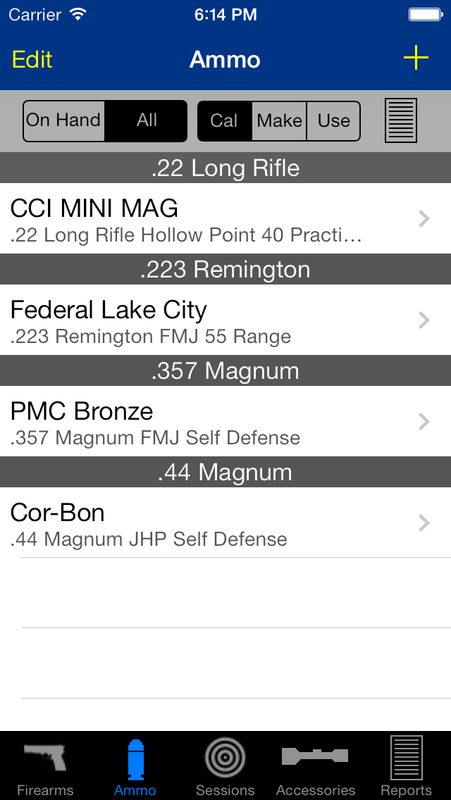 Before you buy the app please browse the several screen shots below. 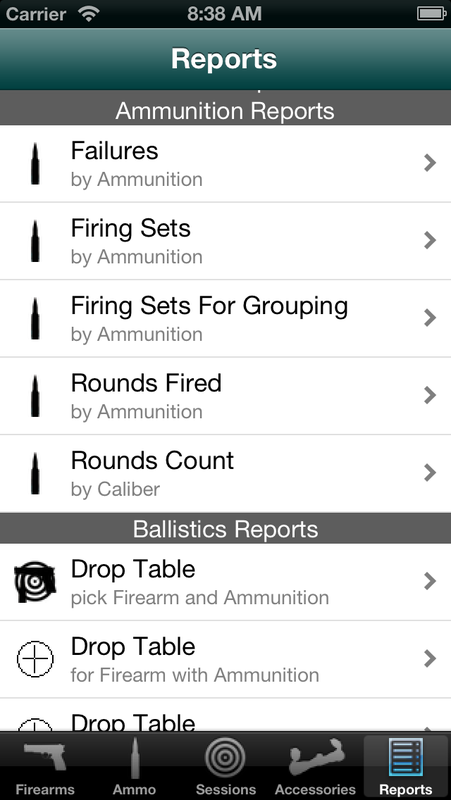 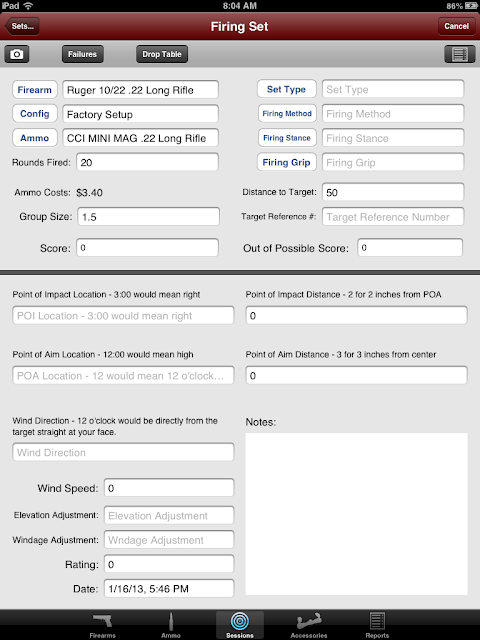 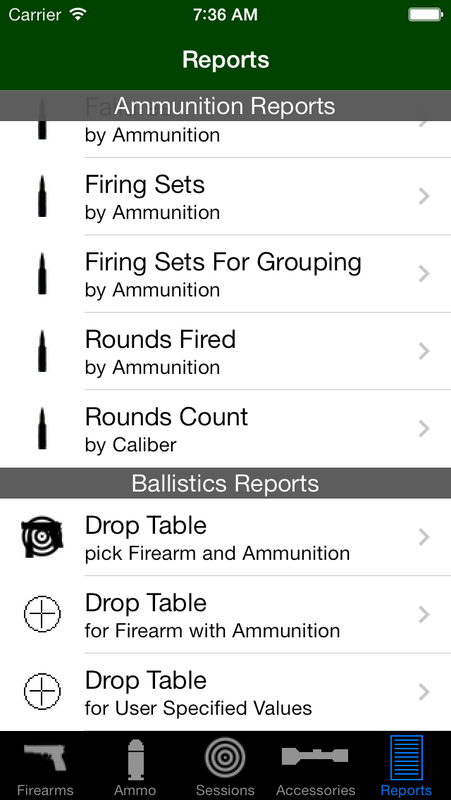 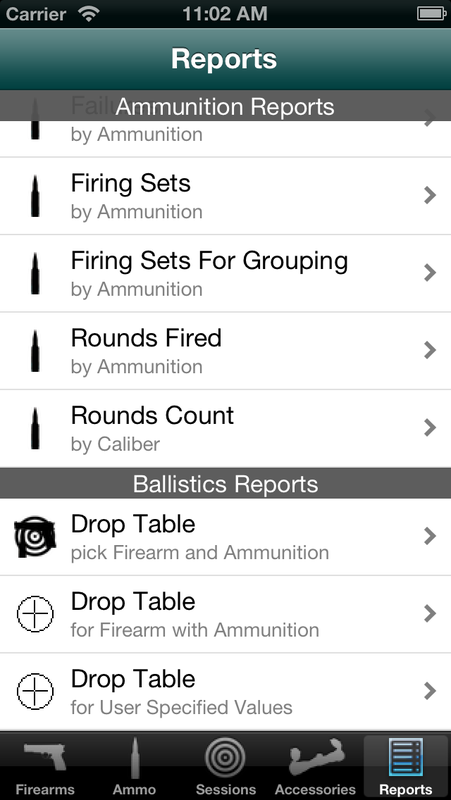 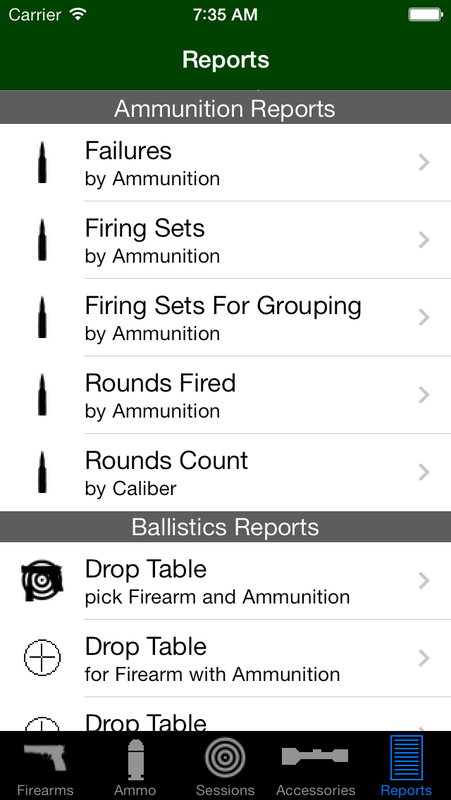 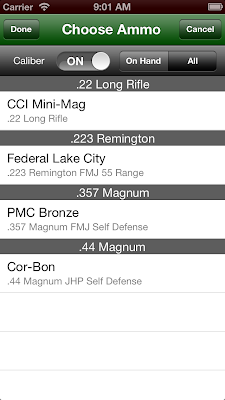 This app is not a simple list but instead an app that logs range results, ammo usage, firearms, ballistic drop tables, and has reports that allow you to analyze your shooting, firearms and ammunition, and improve your ability and to know what ammunition is reliable and accurate. 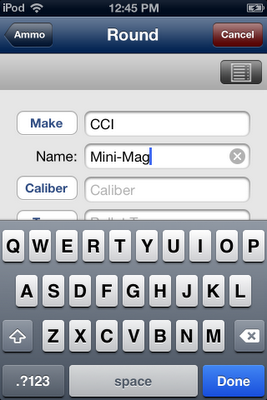 For a detailed tutorial and walk through follow this link to the main blog page. 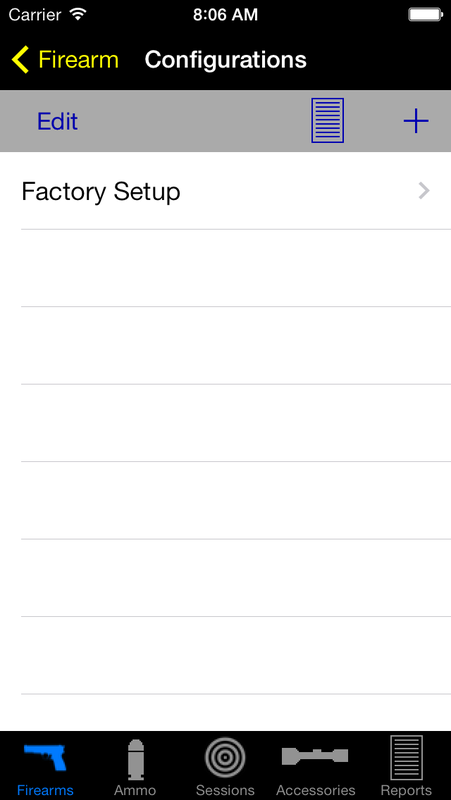 Your iOS device has an app called Settings. 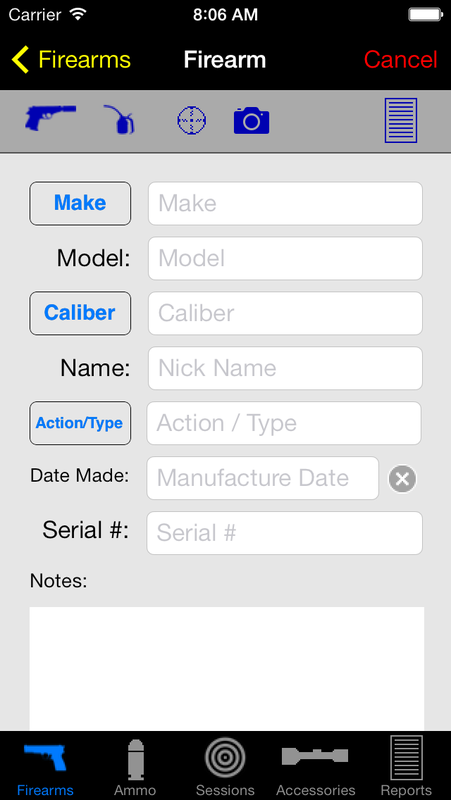 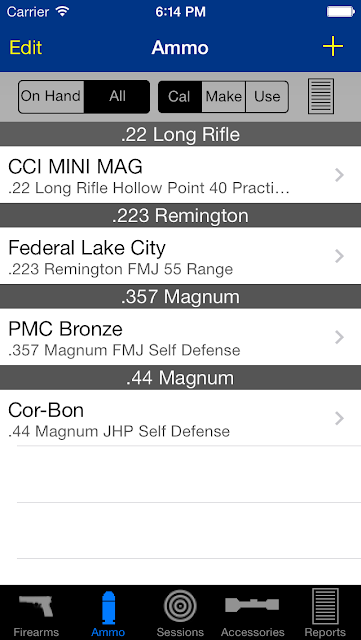 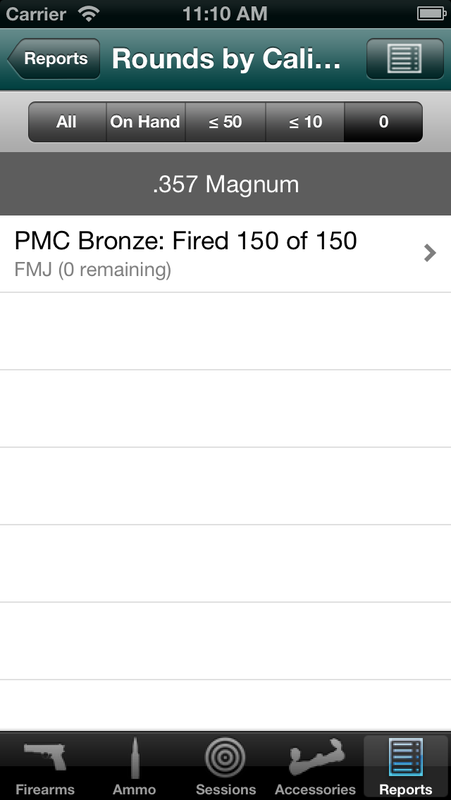 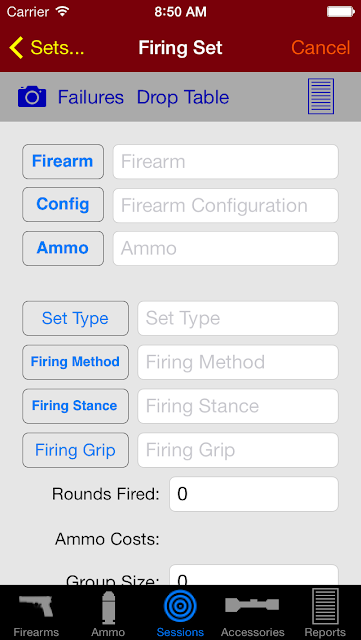 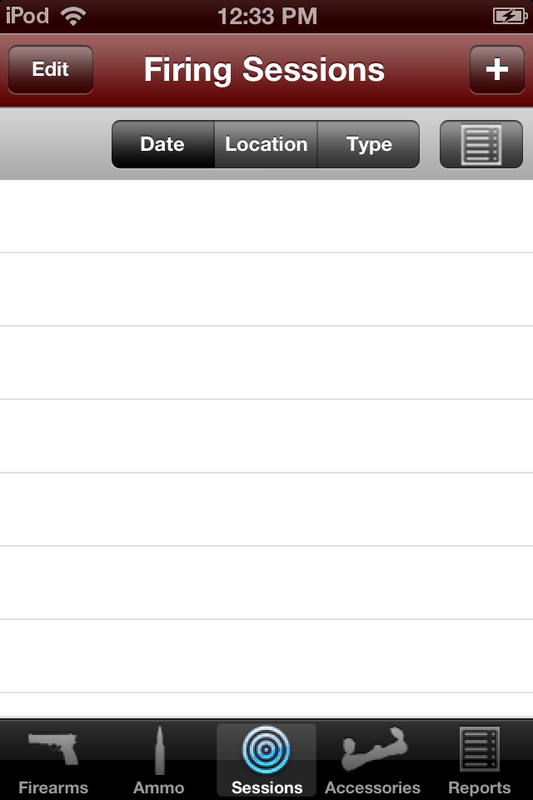 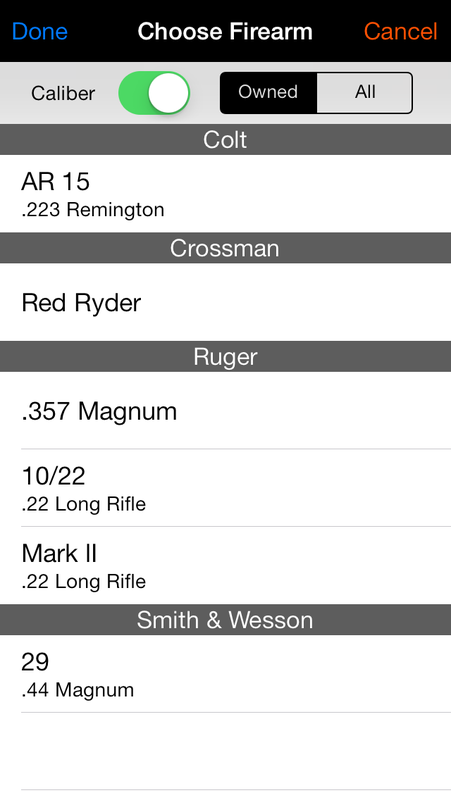 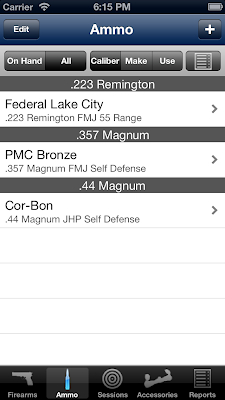 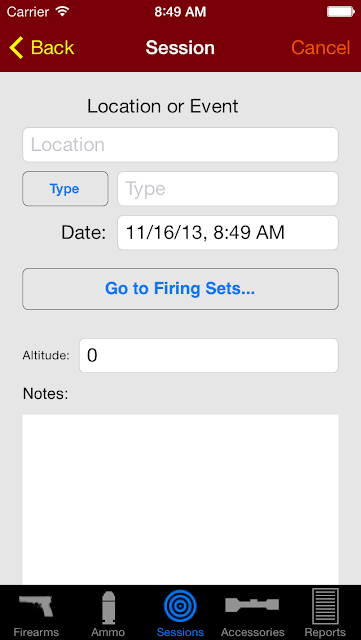 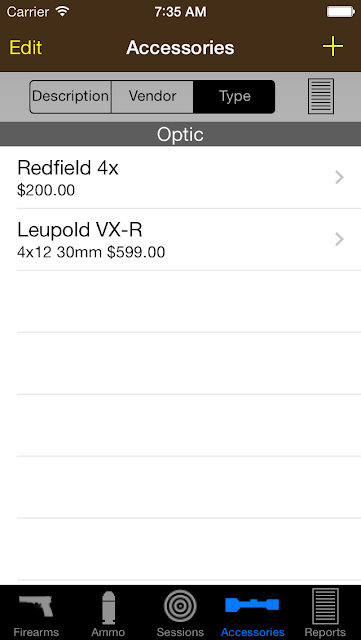 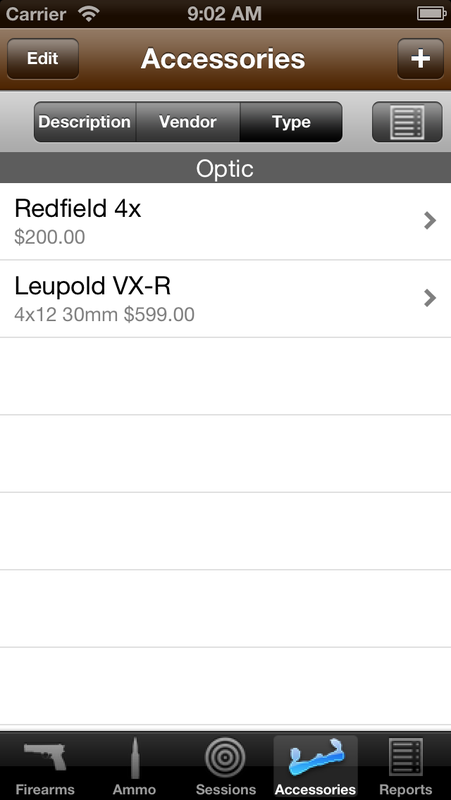 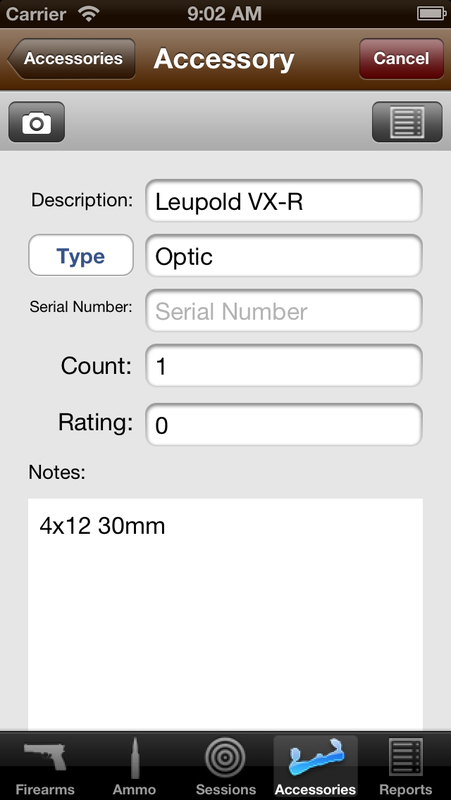 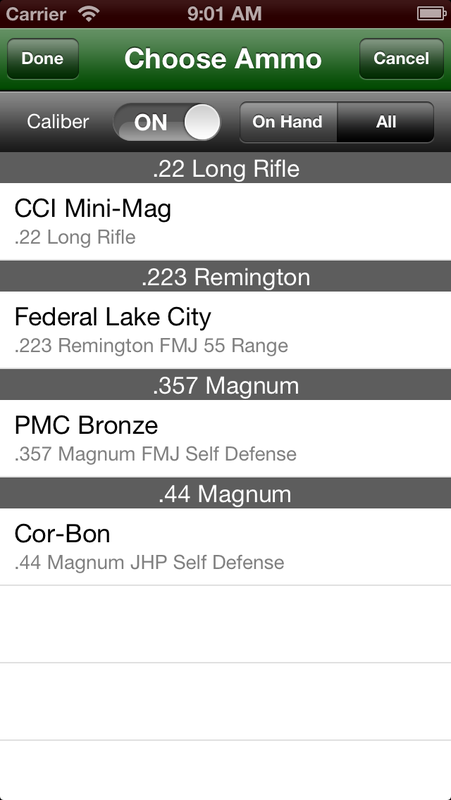 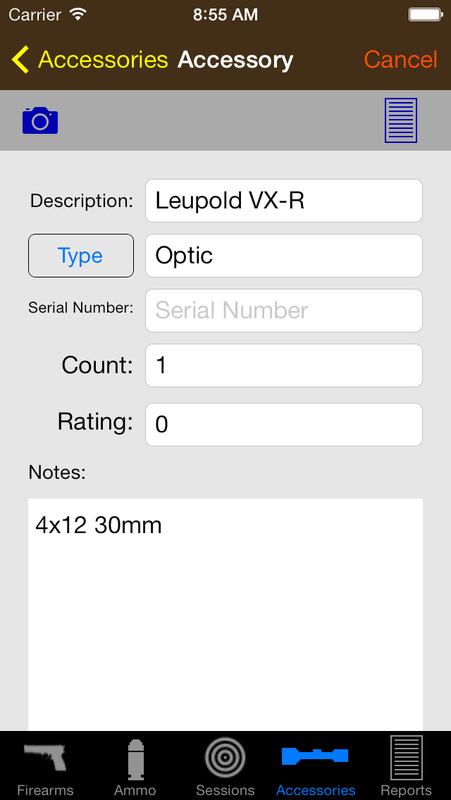 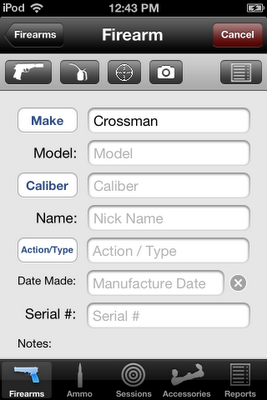 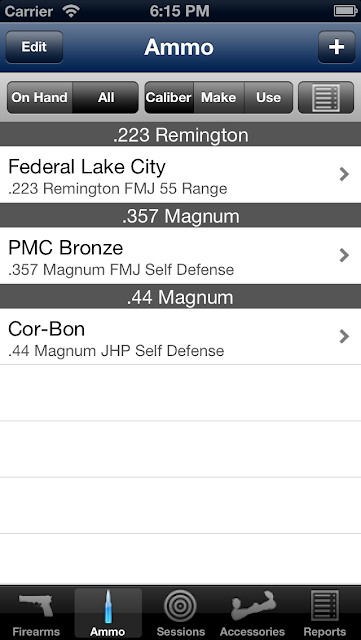 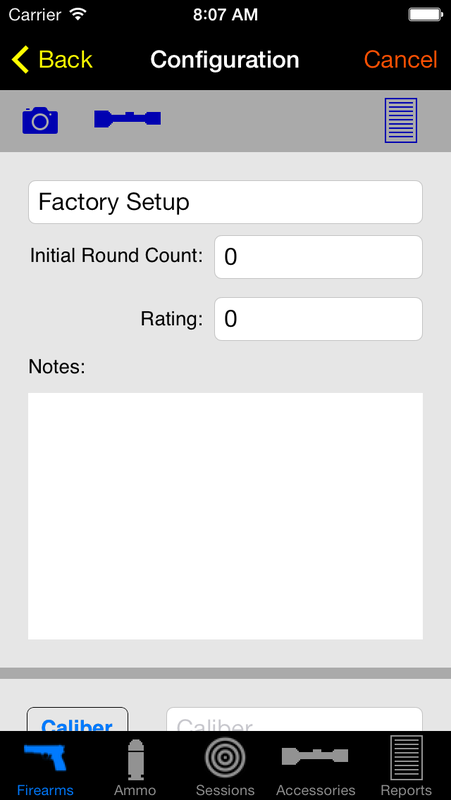 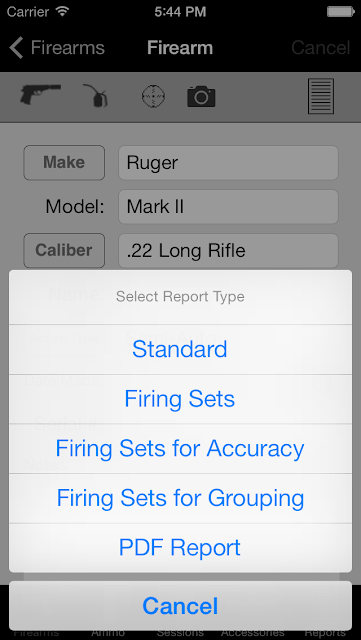 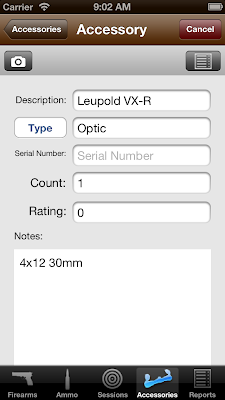 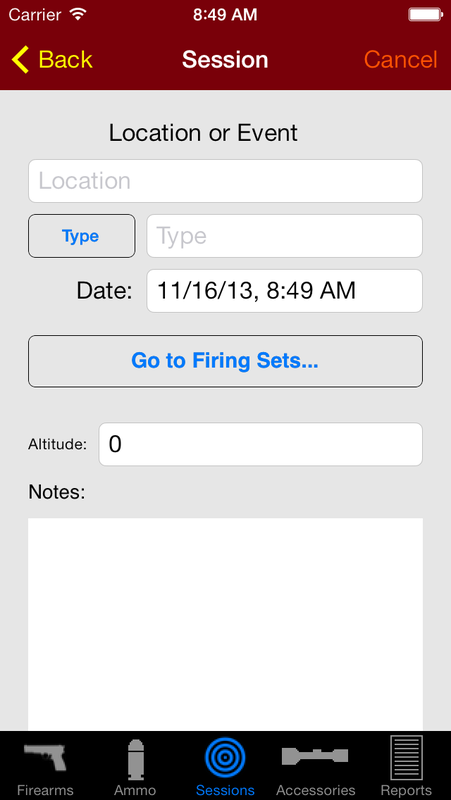 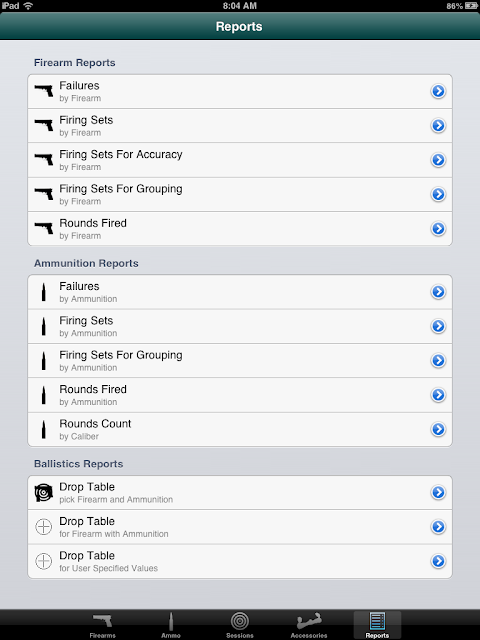 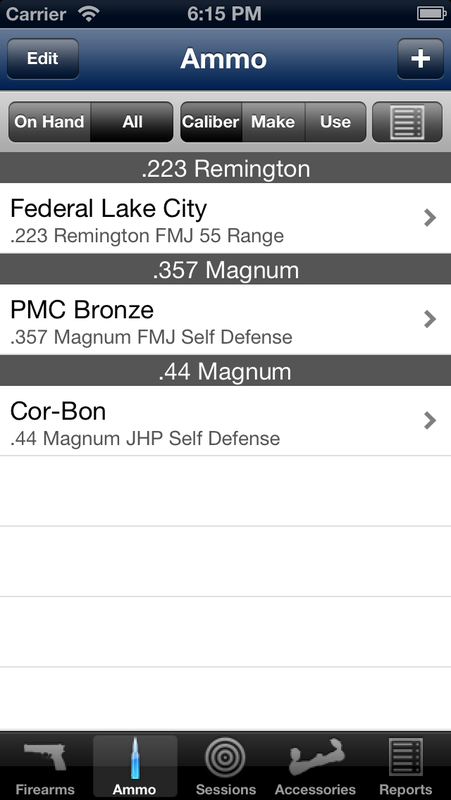 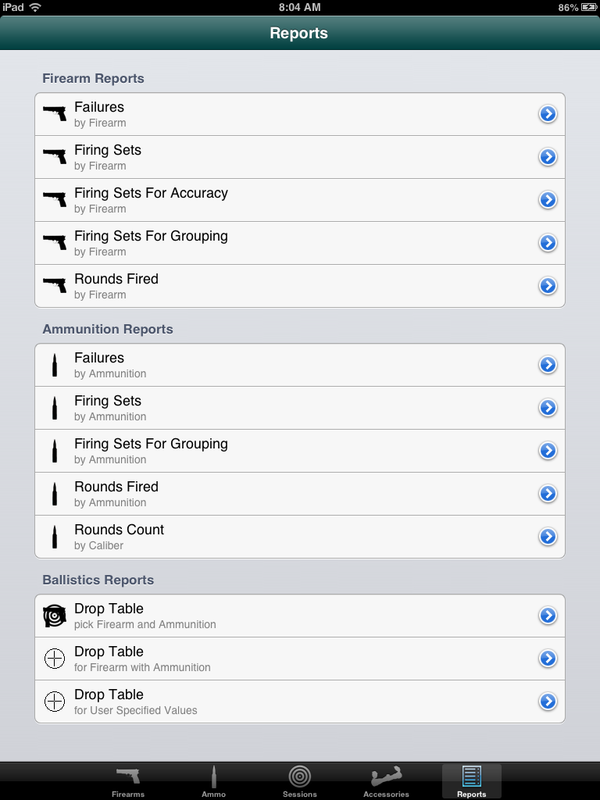 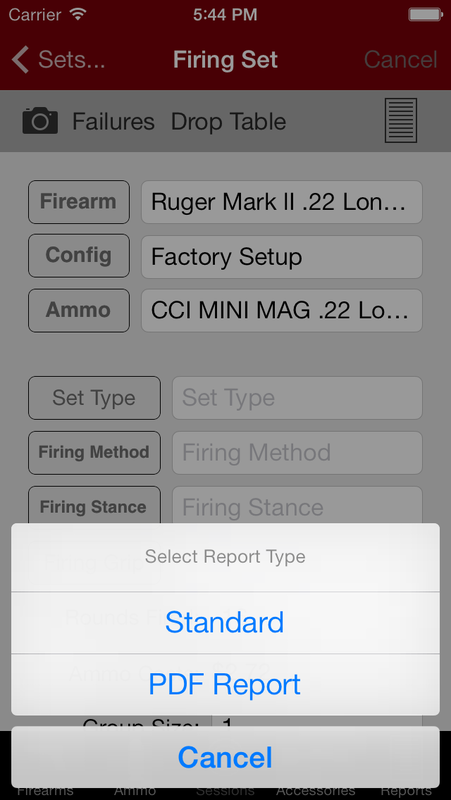 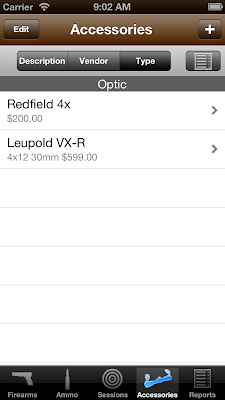 Inside of the Settings app is an entry for Gun Log SPC (GL-SPC). 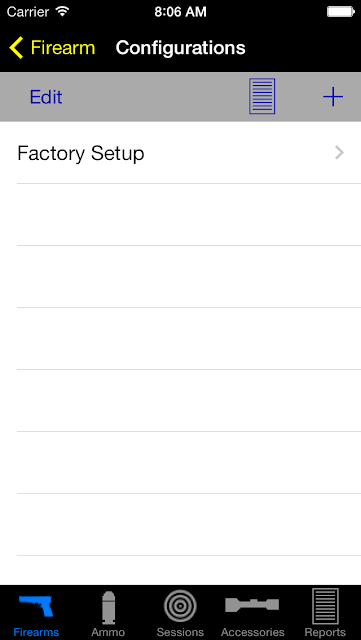 There you can enable a passcode. 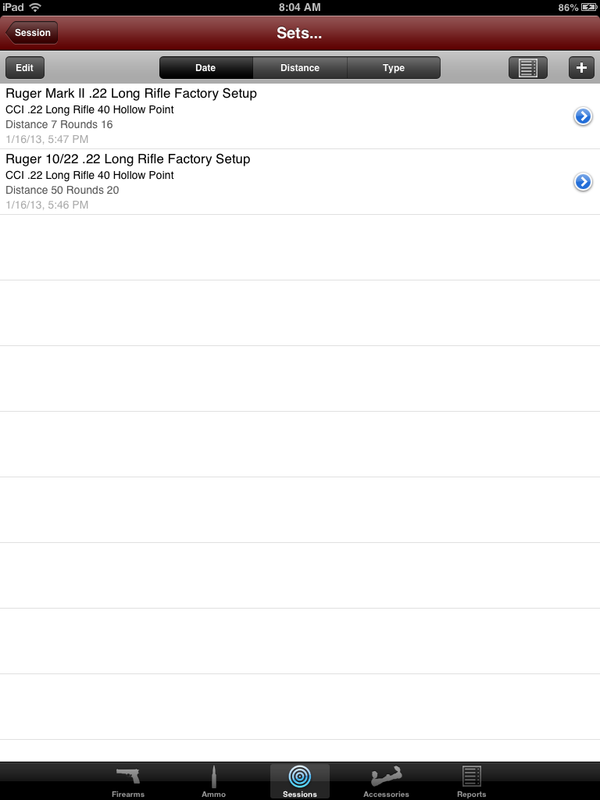 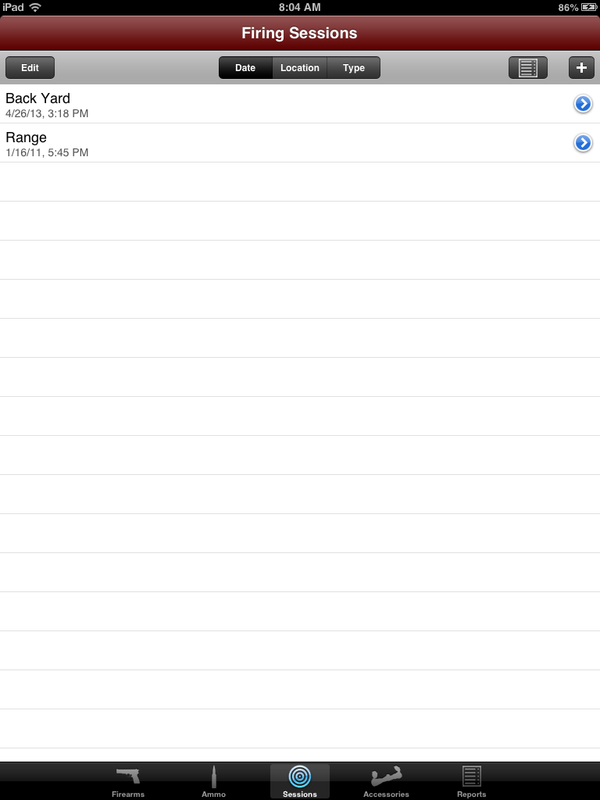 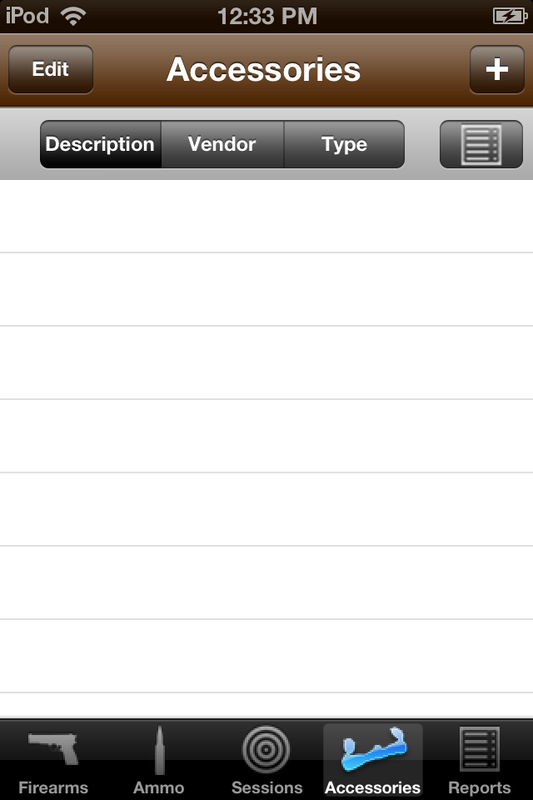 Gun Log SPC has support for iTunes file sharing. 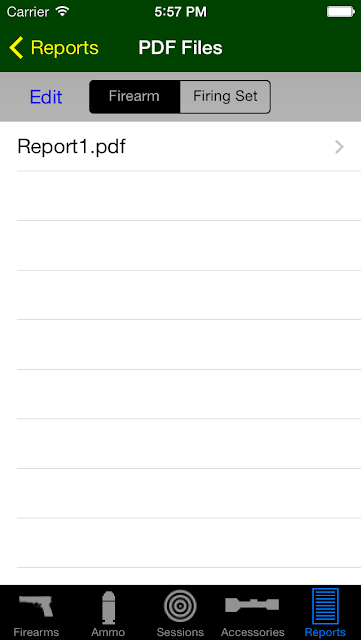 This feature allows you to save the data to your computer via iTunes. It is not automatic. 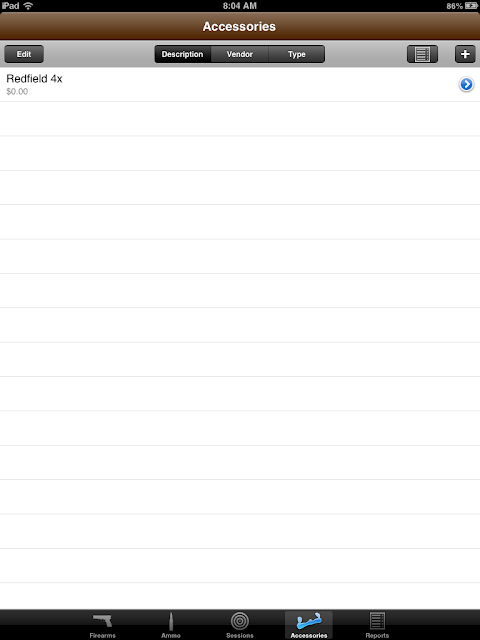 You have to do it. 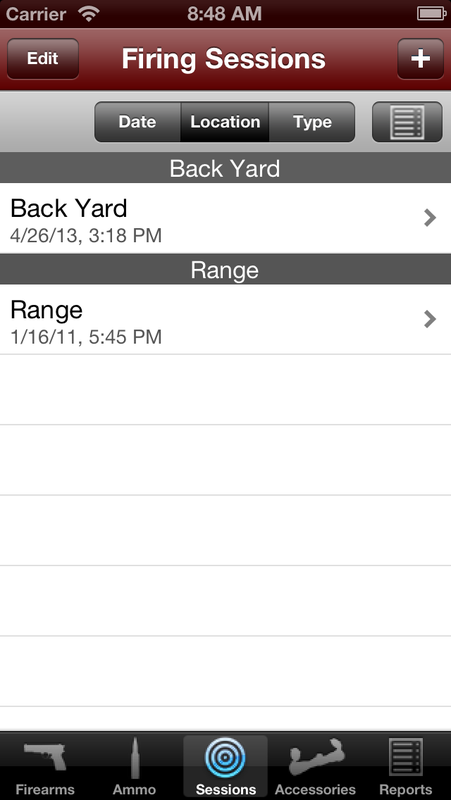 Let me explain how to "think about" the app. 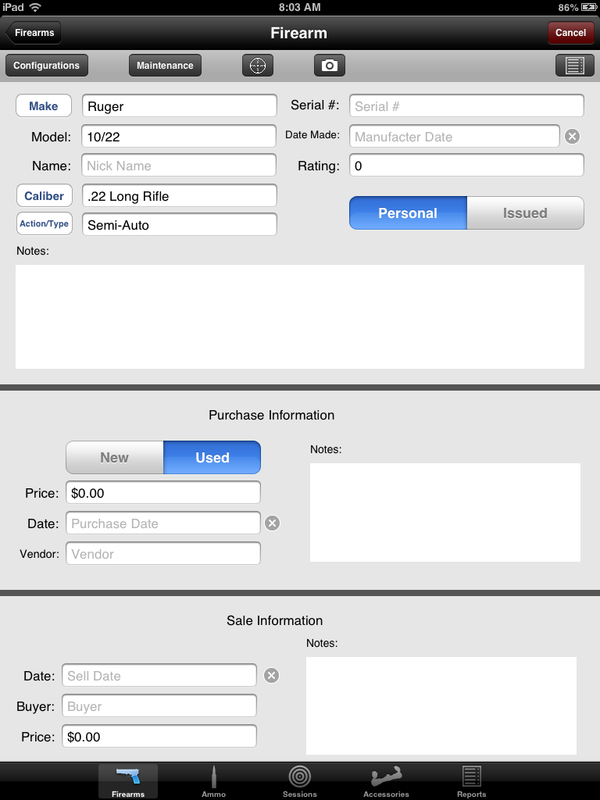 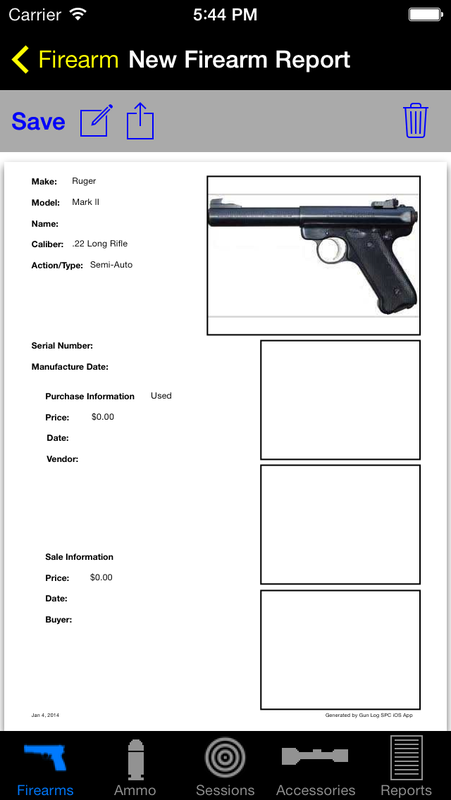 Details such as make, model, caliber, a photo, serial number, purchase info, sale info, and more. 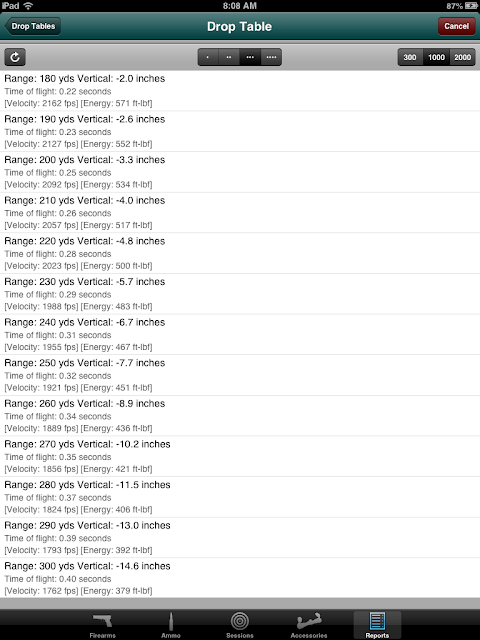 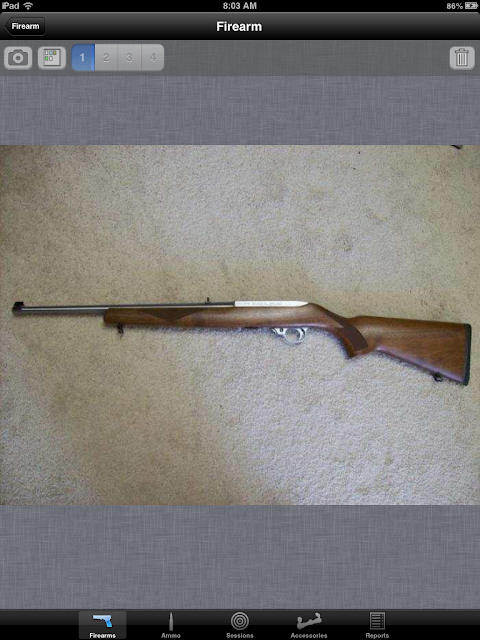 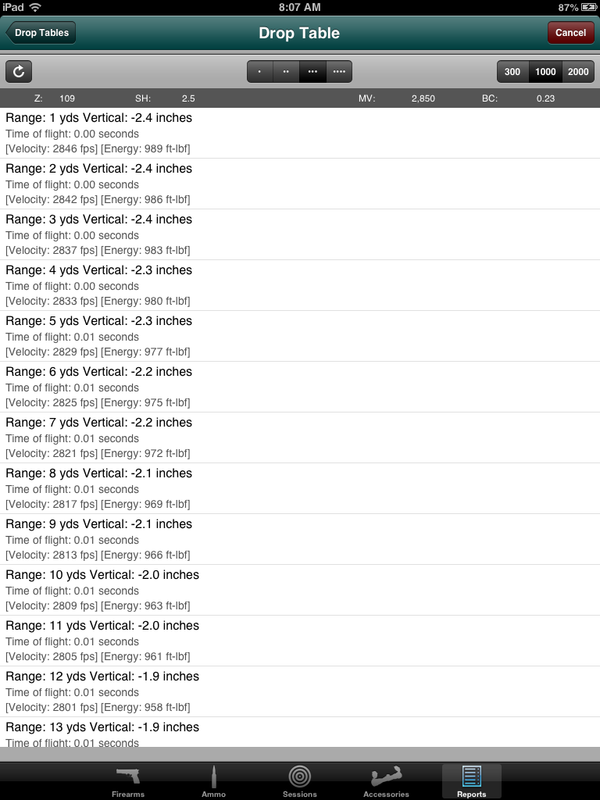 Configurations which specify sight height, barrel length, twist rate, a photo, a list of accessories, and more. 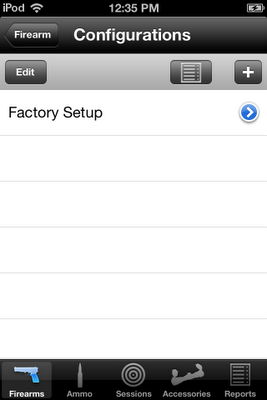 Maintenance records which specify details of the type of maintenance performed and when. 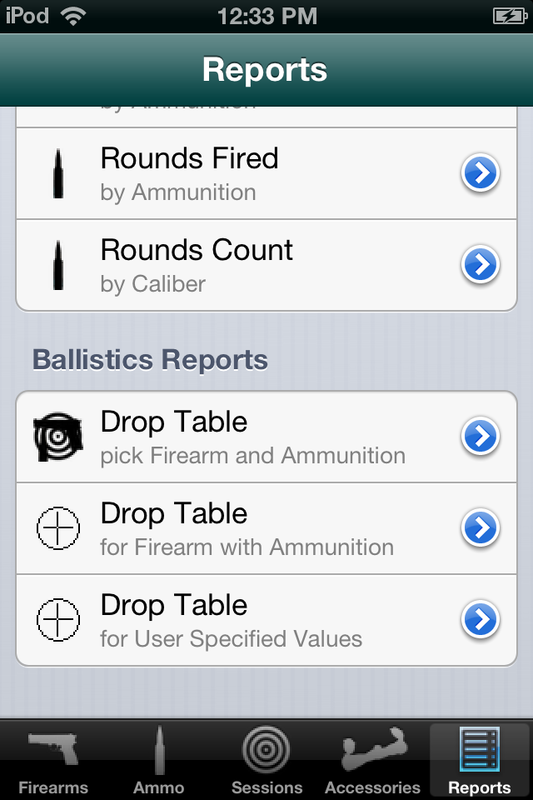 Drop tables where external ballistics are calculated for a weapon, a configuration, and an ammunition. 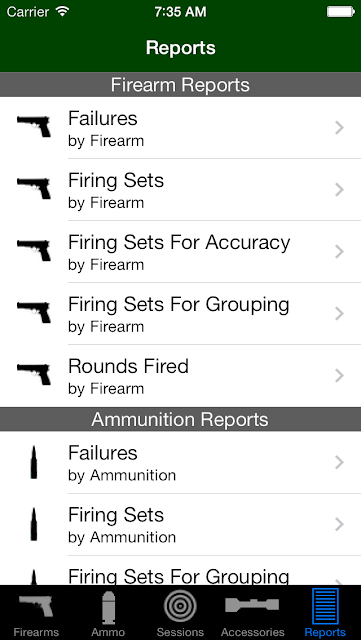 Firearms are used in firing sets and several reports. Ammo has make, name, caliber, type, purpose, round count, ballistic coefficient, muzzle velocity, and much more. 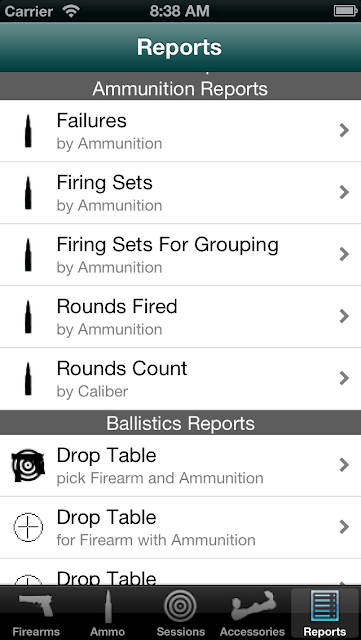 Ammo is used in firing sets and several reports. 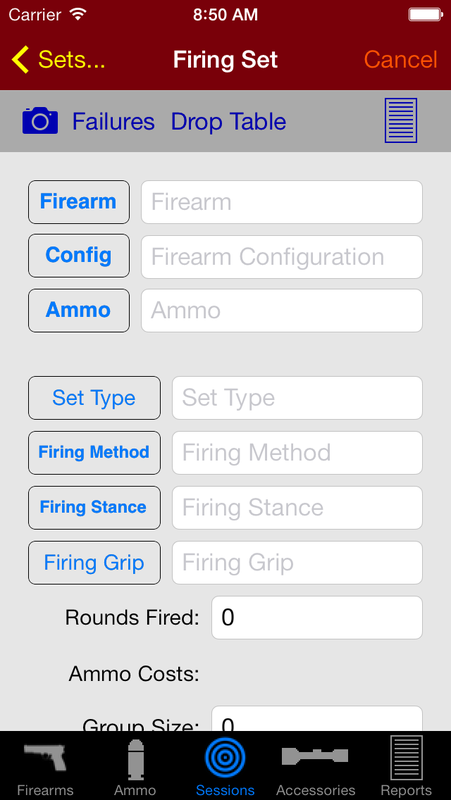 There has been some confusion around how to use the round count and keep up with how many rounds fired. 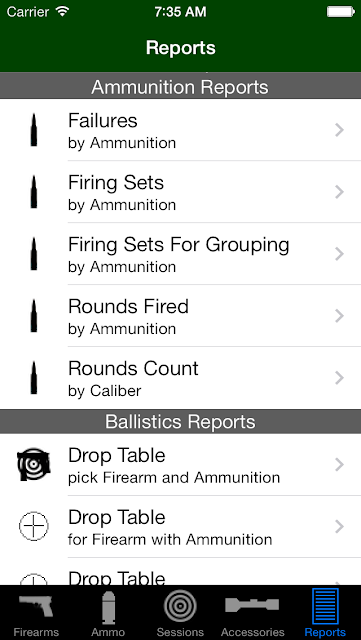 In the ammo view you enter how many rounds you obtained (purchased, hand loaded, etc.) 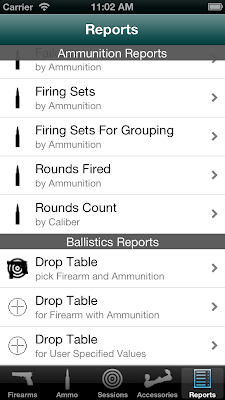 As you use ammo in a firing set the firing set records the rounds fired. 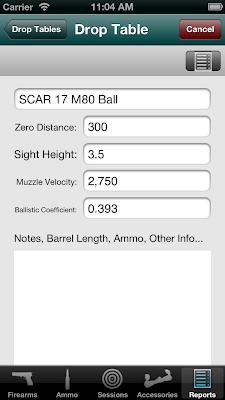 The number doesn't decrease in the ammo view. 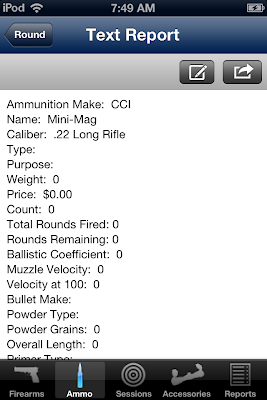 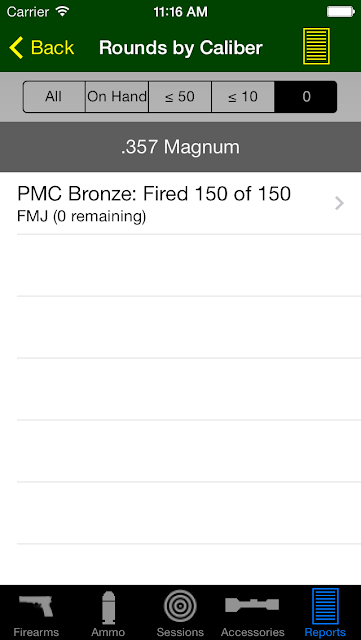 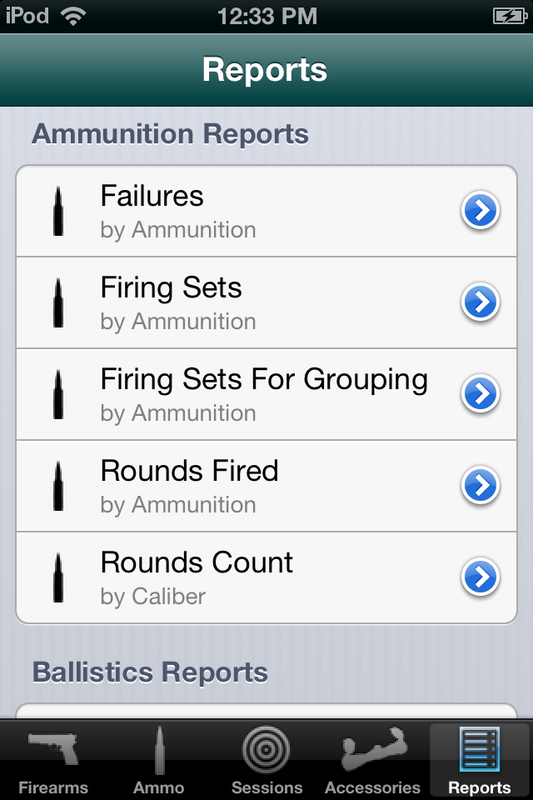 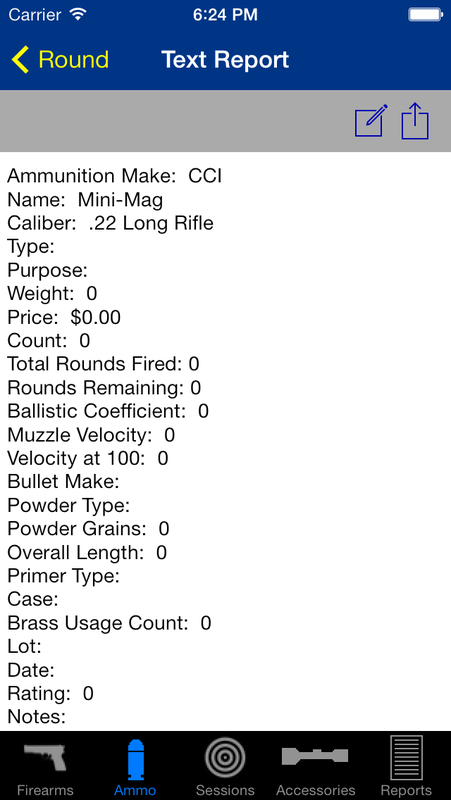 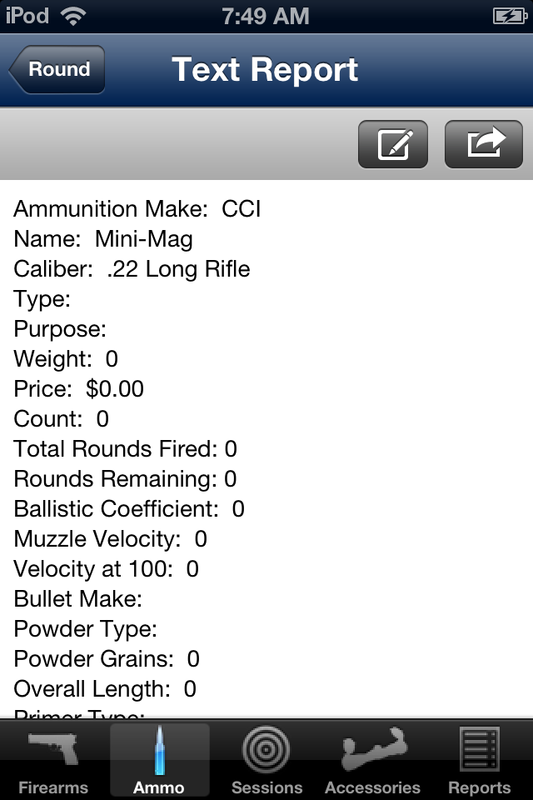 The usage is shown in the ammo reports such as "Rounds Fired by Ammunition" and "Rounds Count by Caliber". 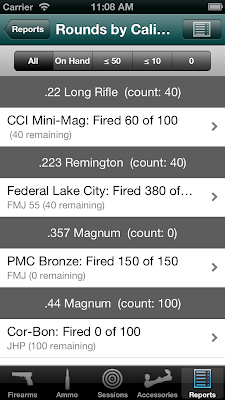 When I purchase more bulk range ammo I just open my entry for that ammo and increase the round count because I don't really want to track each lot by creating a new entry. When I purchase hunting ammo I enter a new ammo entry because I do want to track the use and performance of that ammo. 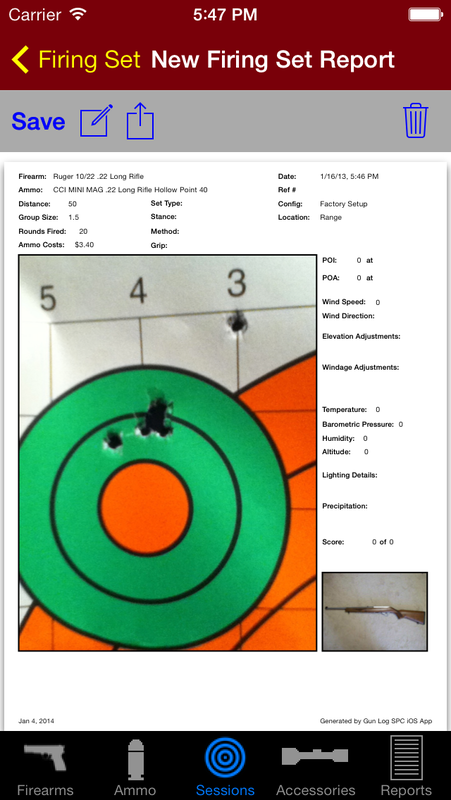 A firing session is a day at the range or a day in the field. During a firing session you may set up various targets and use different firearms. 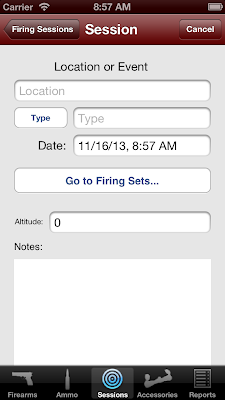 Therefore a firing session can have many firing sets recorded. 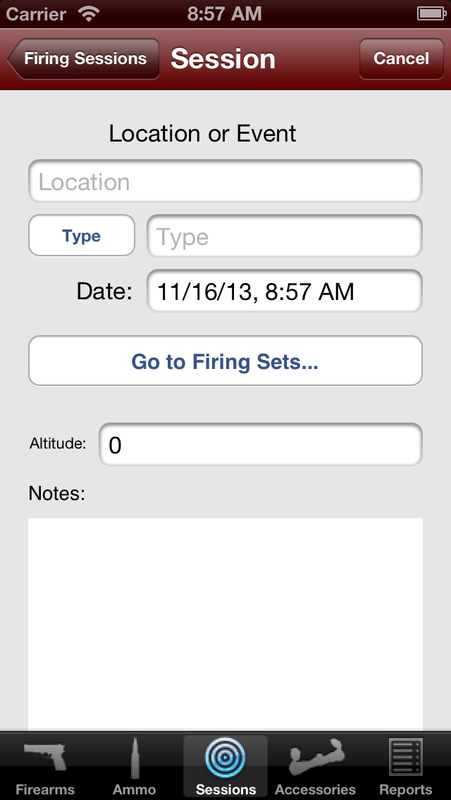 The firing set is the "heart" of the app. 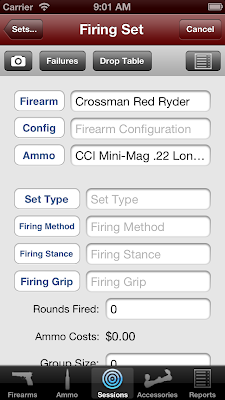 This is where you bring your firearm, a specific firearm configuration, and ammo together. 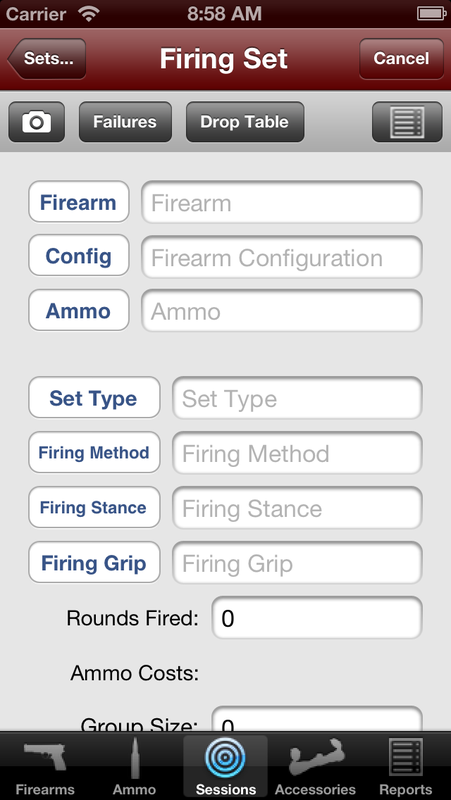 Fields such as set type, firing grip, distance to target, rounds fired, group size, weather and lighting conditions, and much more. Photo of your target or results. 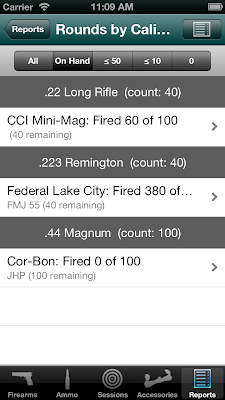 Failure entry where you can capture any type of failure you experience. 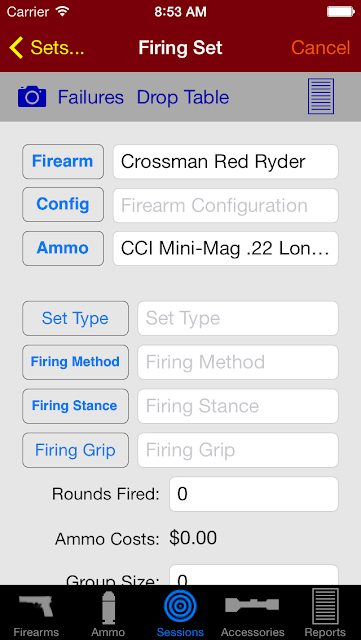 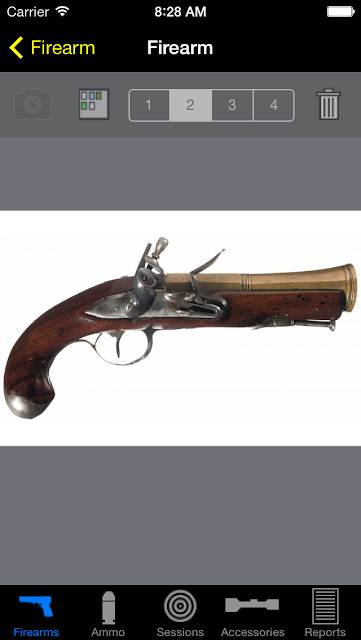 This is automatically associated with the firearm, firearm configuration, and the ammo. 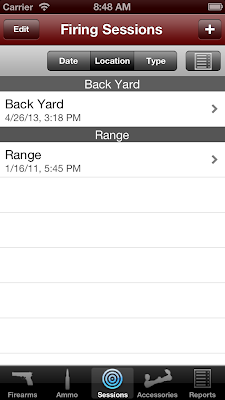 This allows you to track problems and analyze issues. 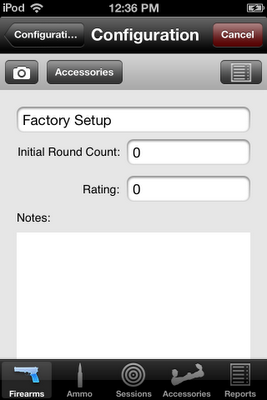 An accessory entry has details such as description, type, serial number, count, and other information. An accessory can be associated to many firearm configurations. 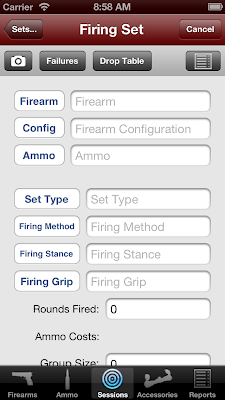 You have to enter the accessory first and then go to your firearm and open the configuration that uses the accessory and add the accessory. 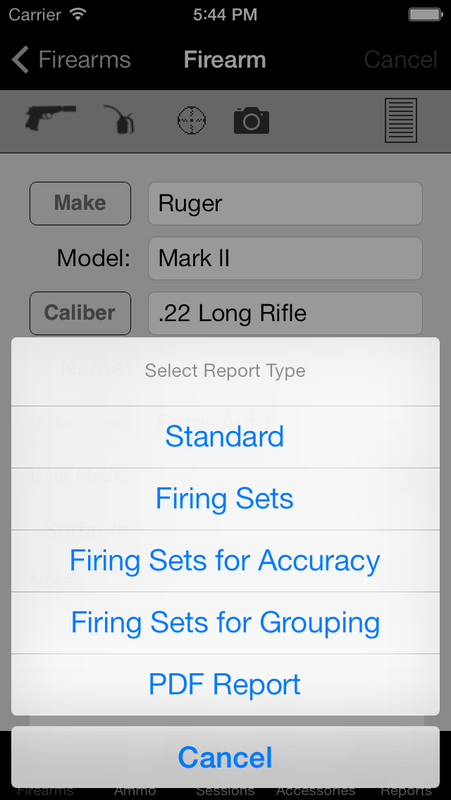 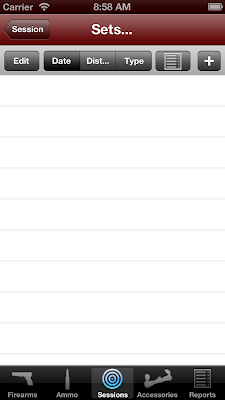 The reports area is where data is grouped, sorted, and organized. 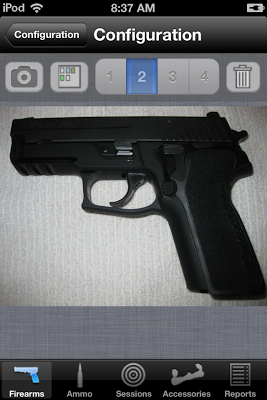 Suppose you want to find the entry where you had a failure to eject for a pistol. 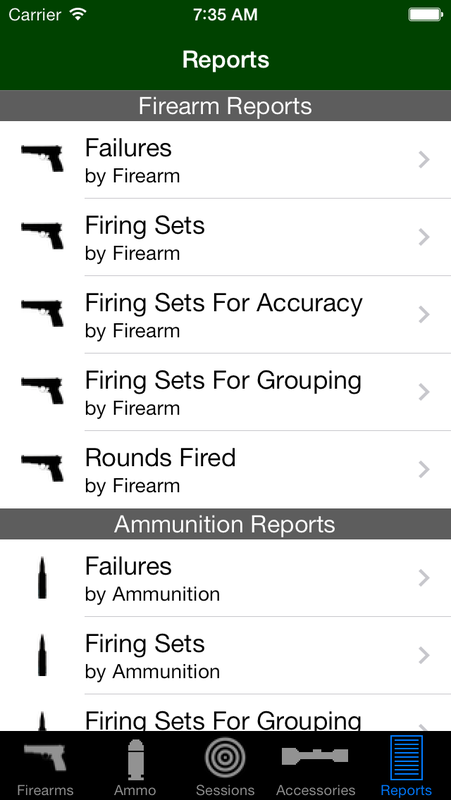 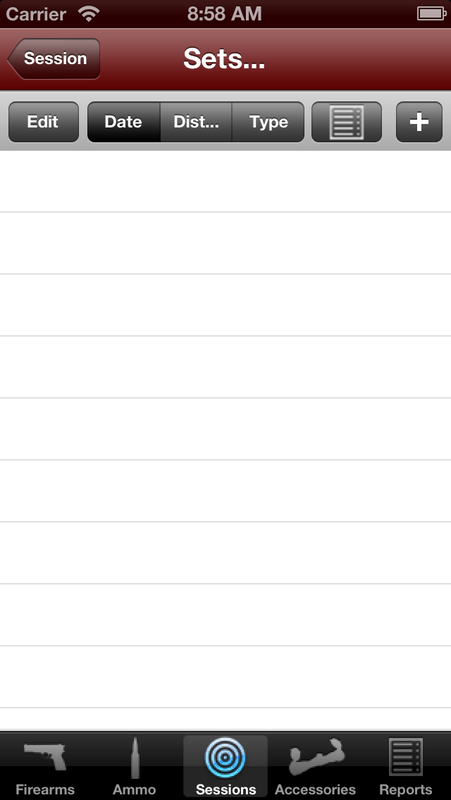 Instead of trying to remember which firing session has the firing set that has the failure just open the reports and tap "Failures by Firearm" or "Failures by Ammunition". 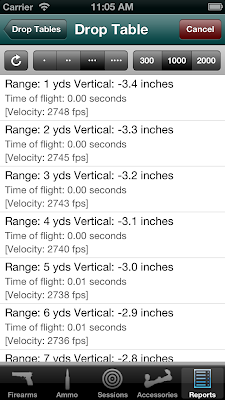 There are five top level views in GL-SPC. 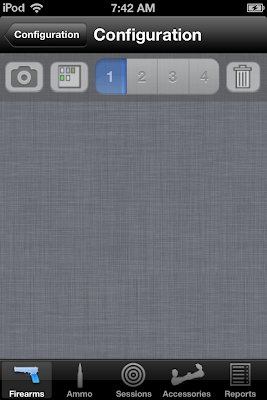 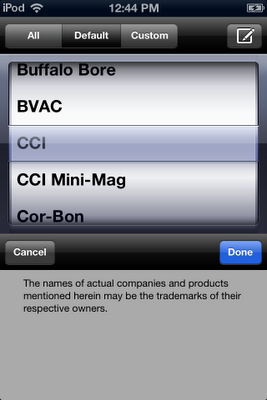 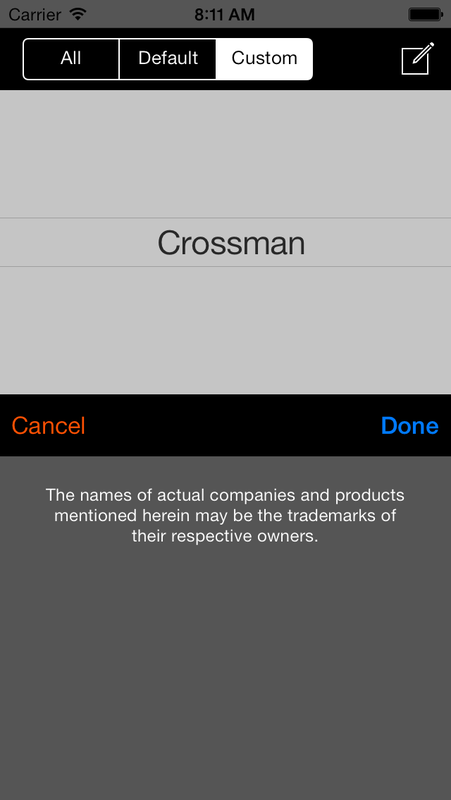 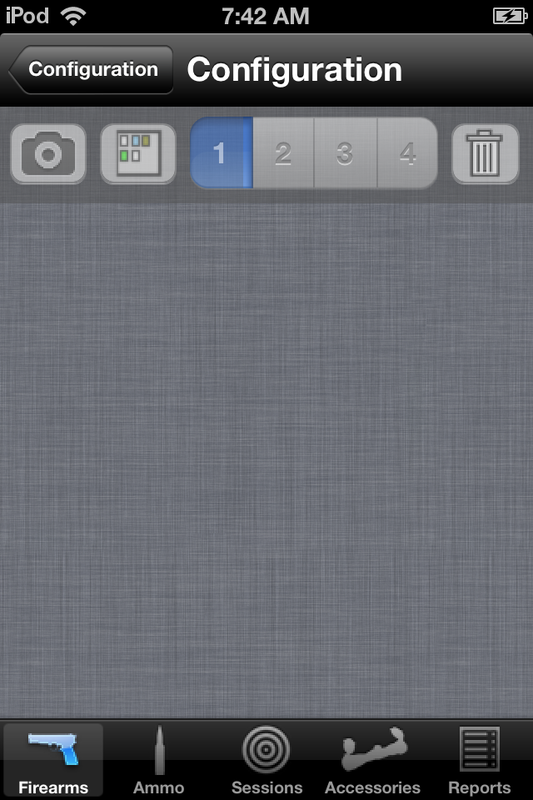 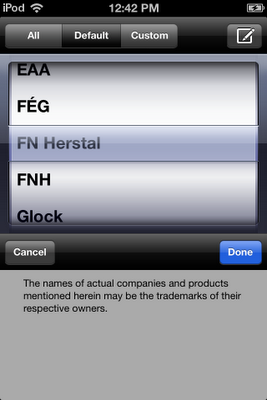 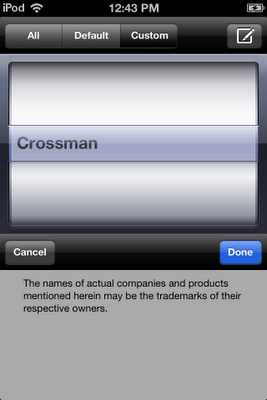 The User Interface (UI) follows Apple's guidelines and uses common iOS UI elements. Following are screen shots of almost every aspect of GL-SPC. 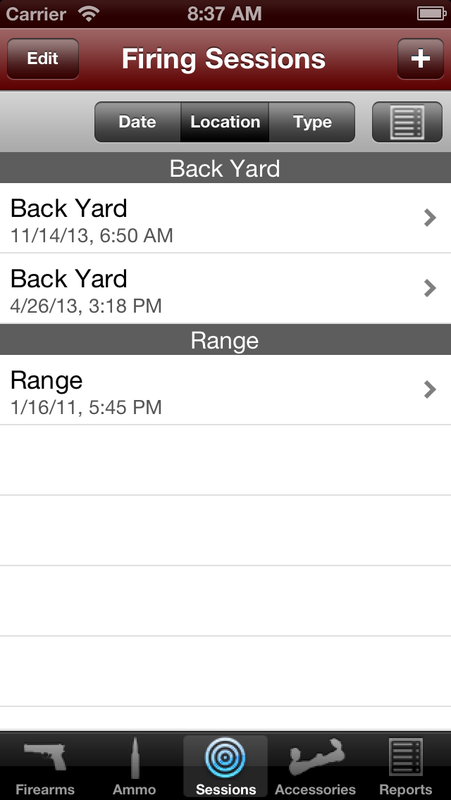 For detailed descriptions of how the app works go to the main blog page. 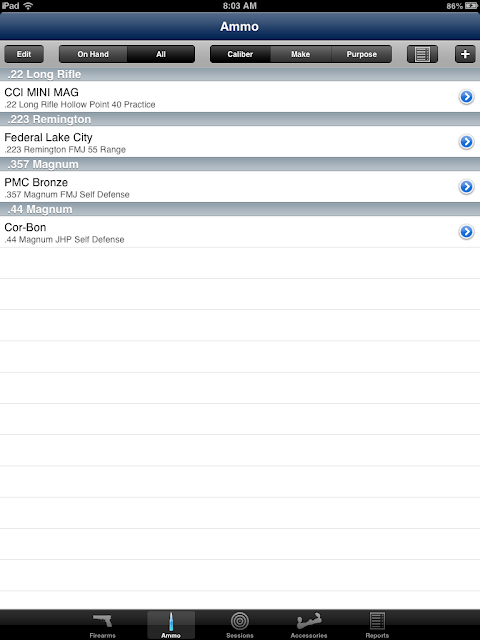 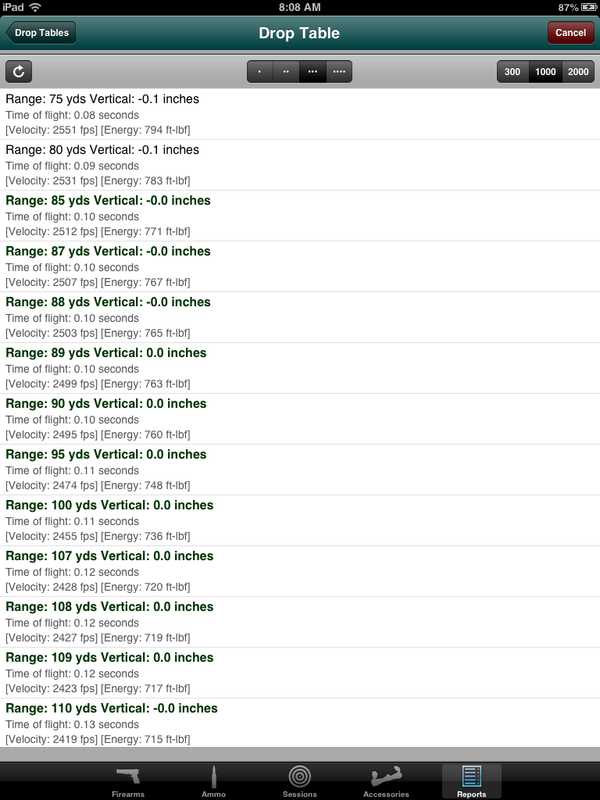 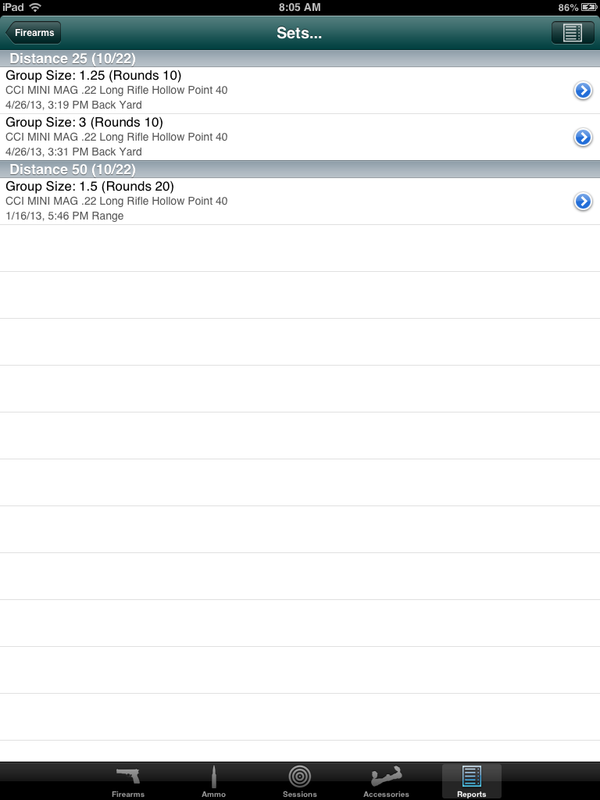 Following are some screen shots showing the layout on an iPad. 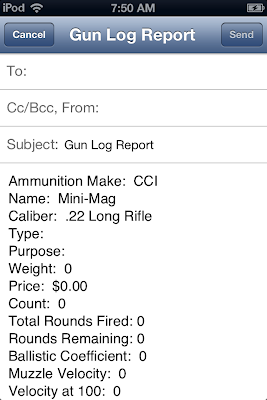 Thank you for viewing the many screen shots of Gun Log SPC (GL-SPC). For explanations and tutorials on how to use the app please go to the main blog page. 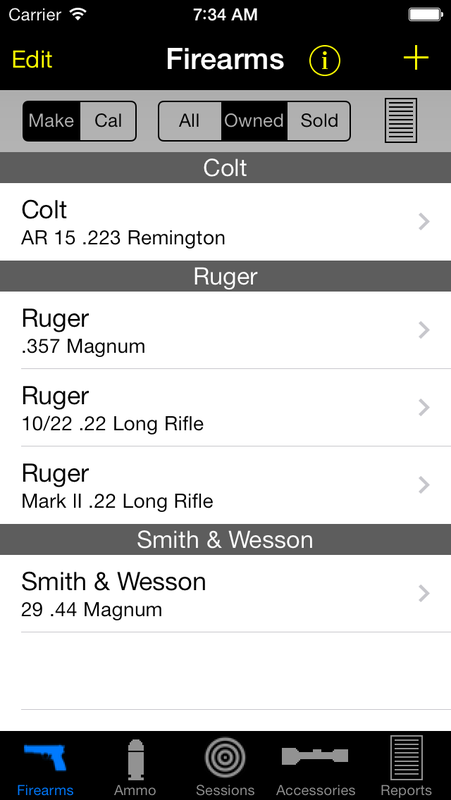 Remember, after paying the bills, I use revenue from these apps to purchase my firearms related materials. 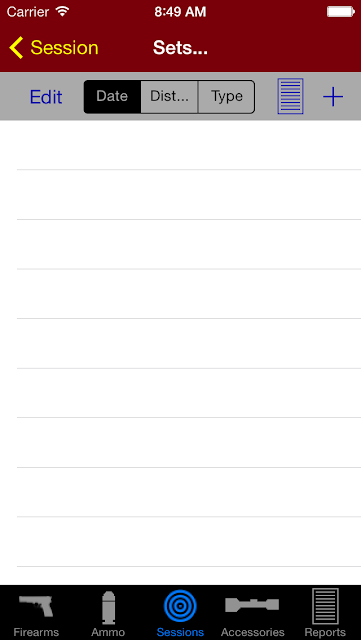 Therefore, I owe you my thanks.